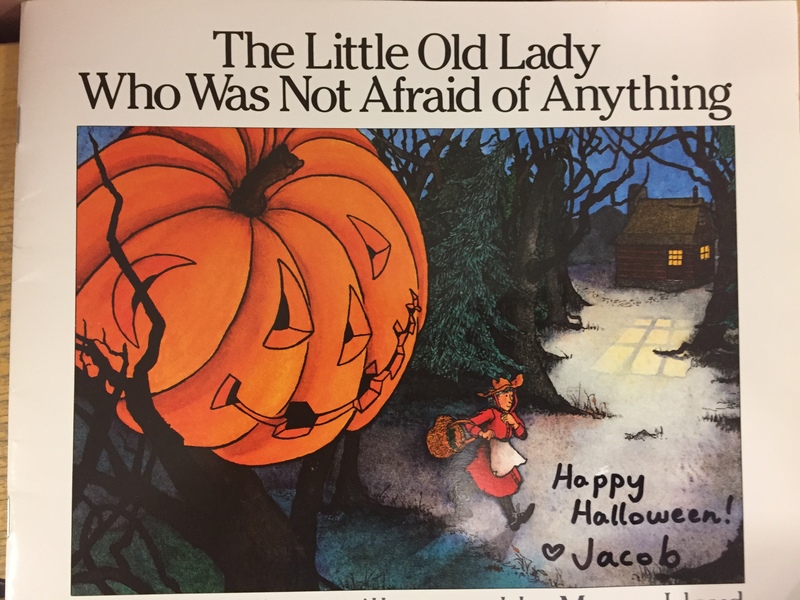 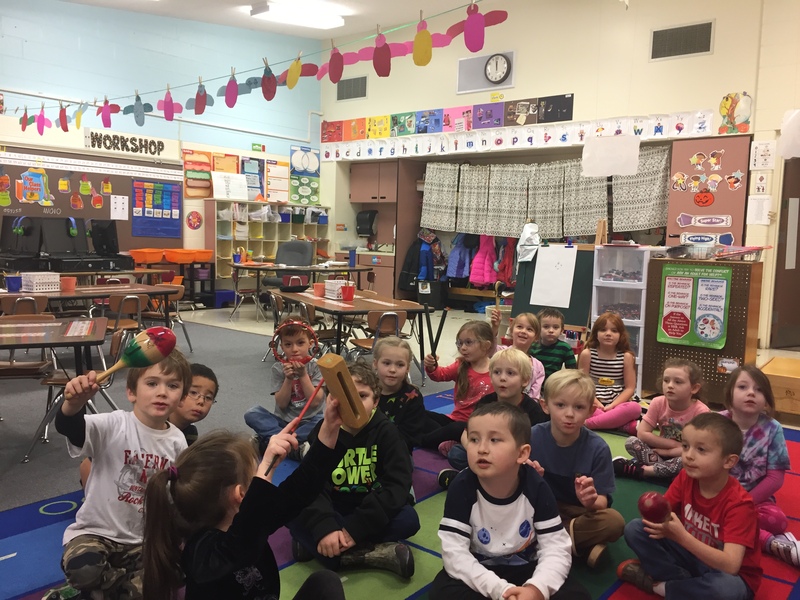 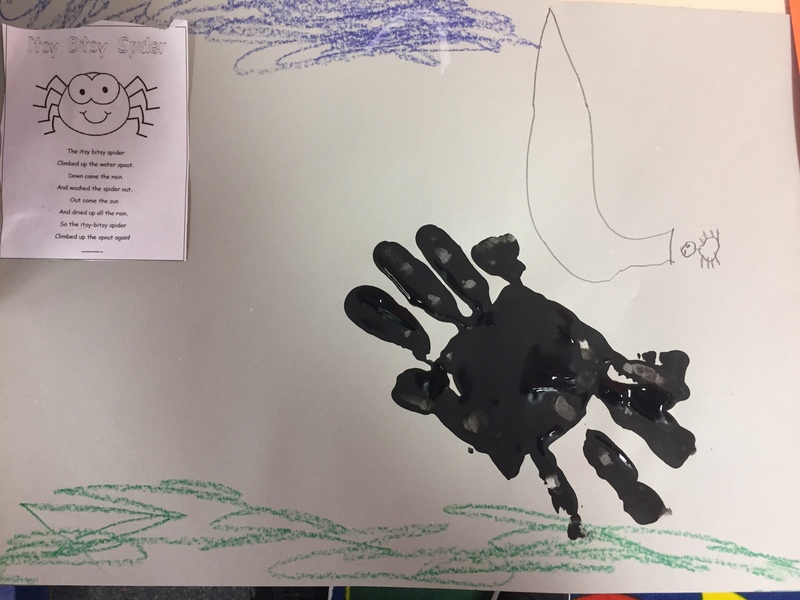 We read the story The Little Old Lady Who Was Not Afraid of Anything by Linda Williams and to help us tell the story we used musical instruments. 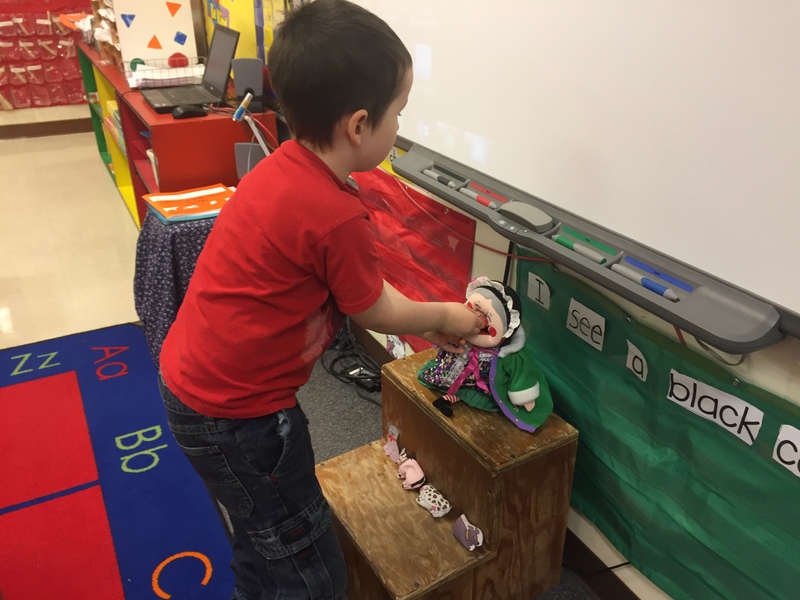 For the shoes we used a woodblock, tambourine for the pants, maracas for the shirt, castanets for the gloves, and rhythm sticks for the hat. 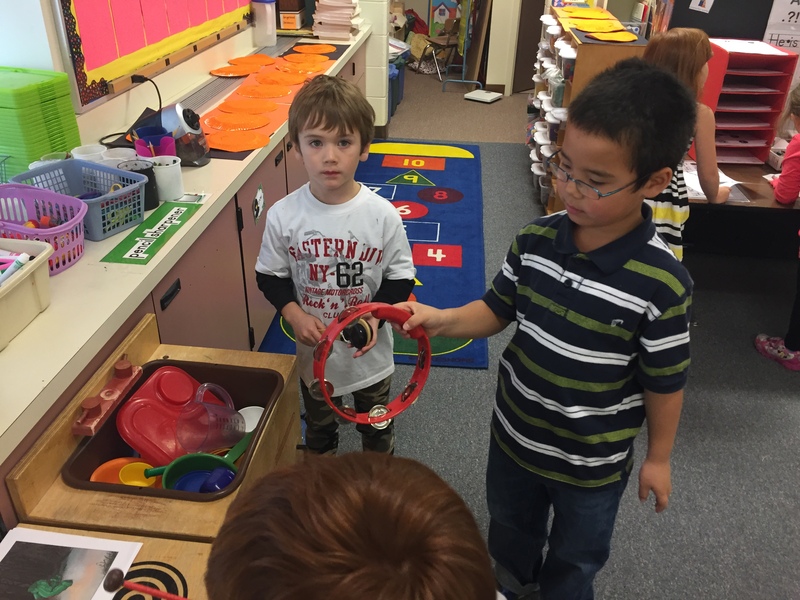 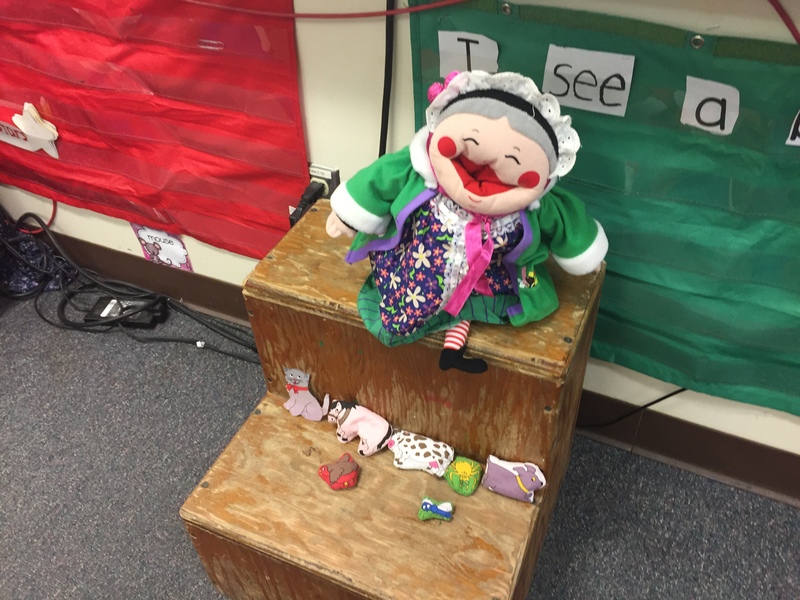 During free choice centers students got to retell the story on their own using the instruments. 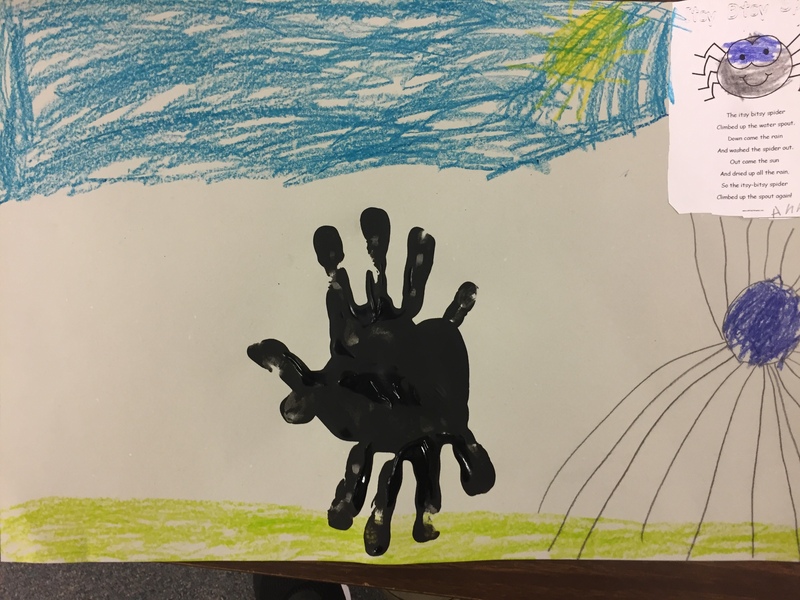 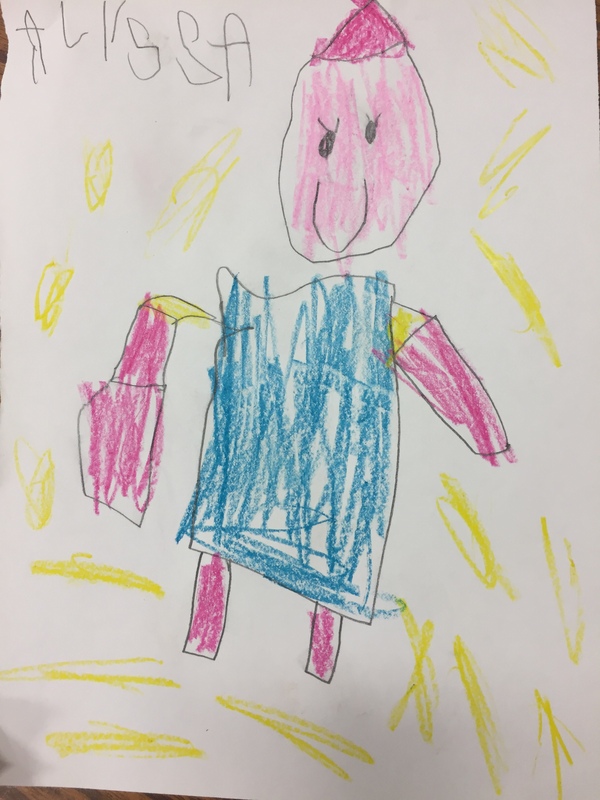 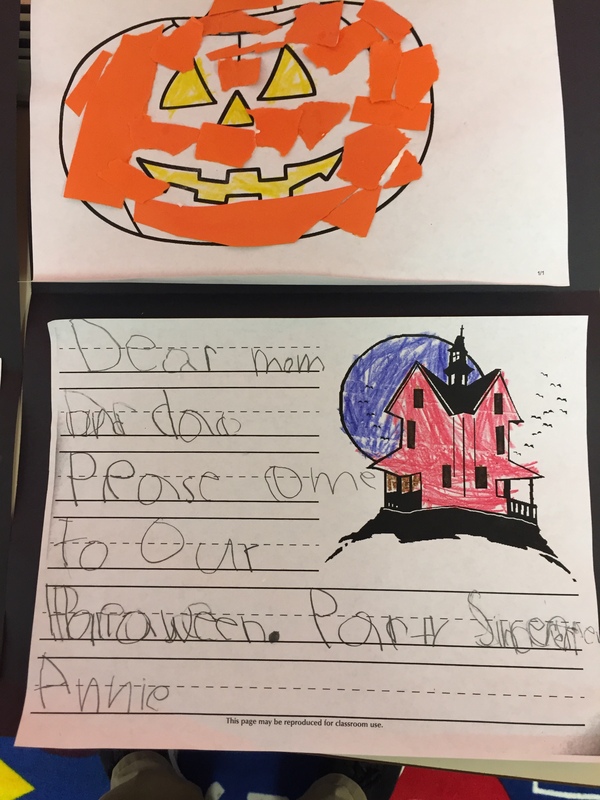 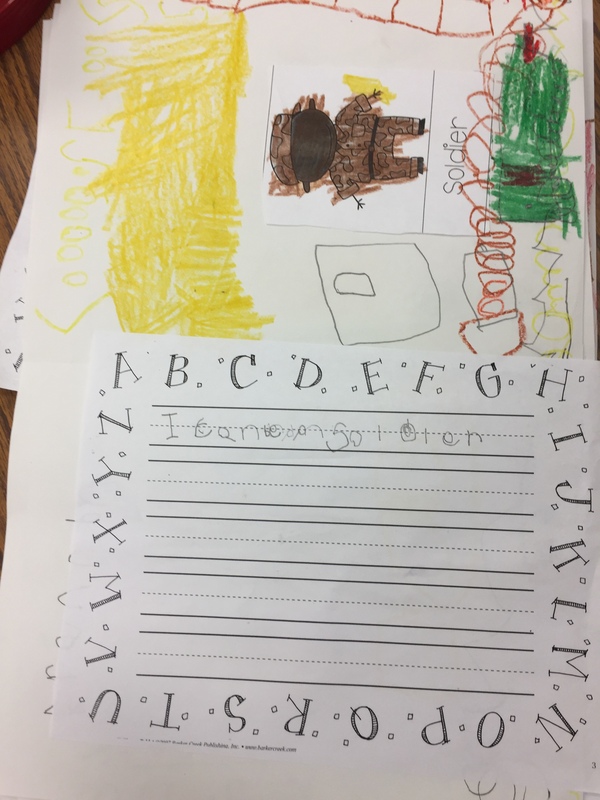 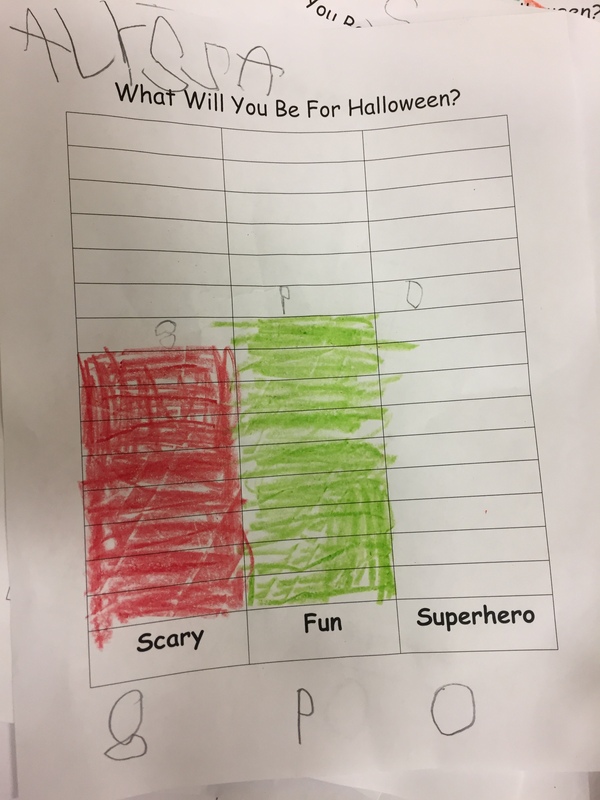 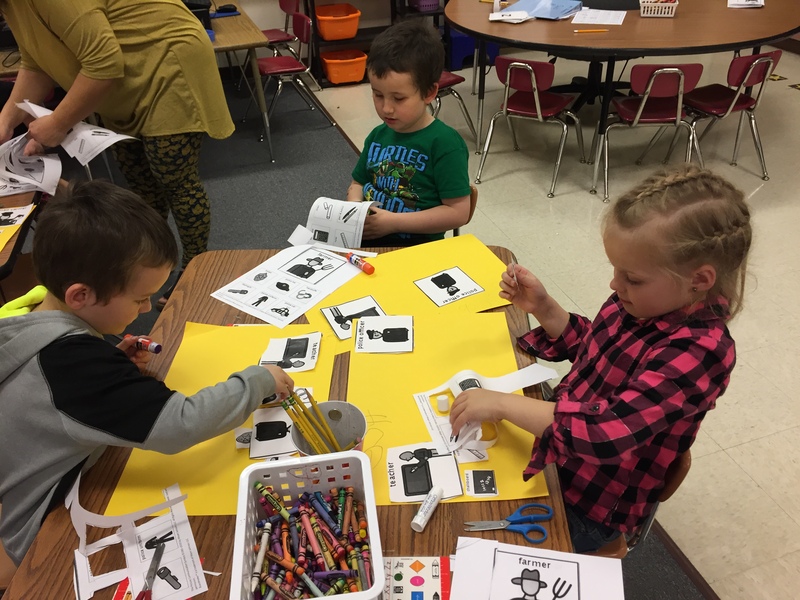 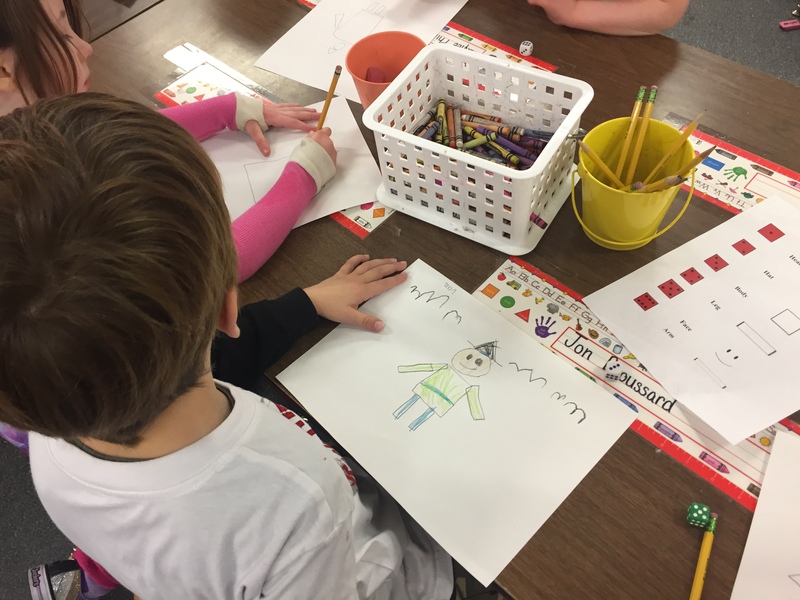 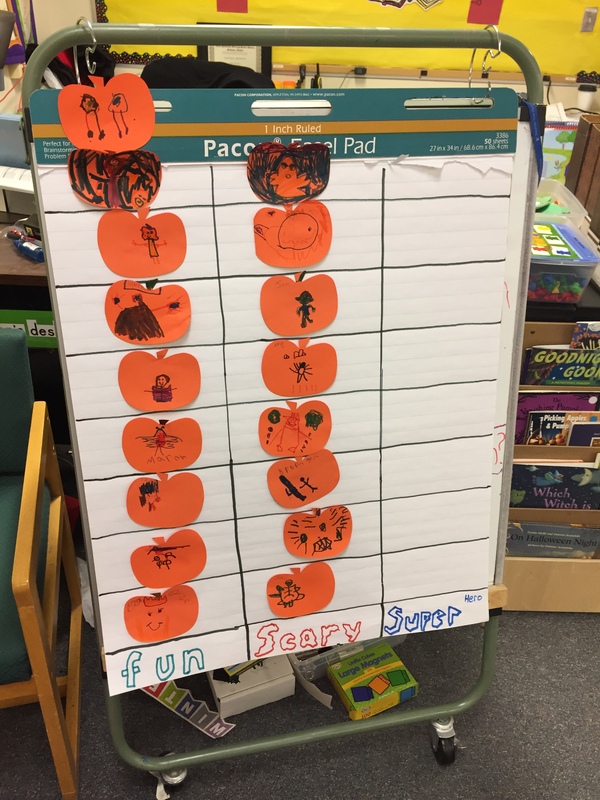 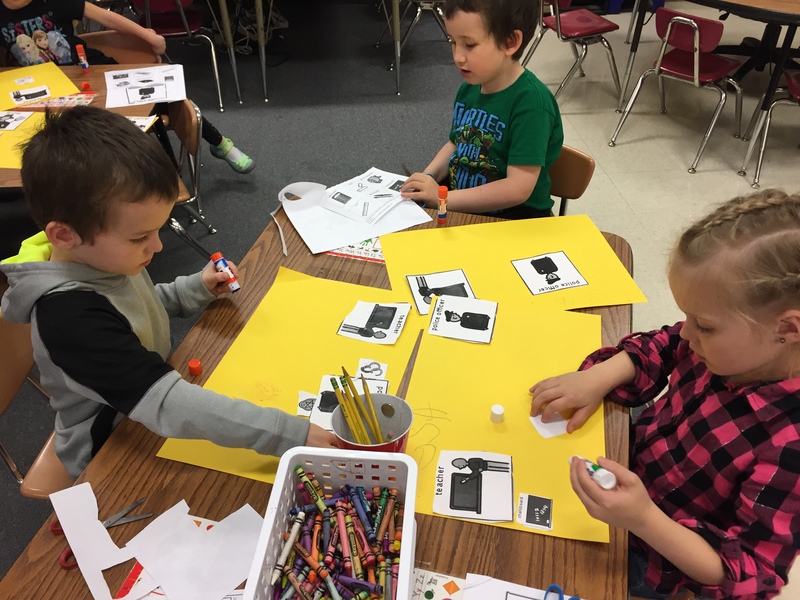 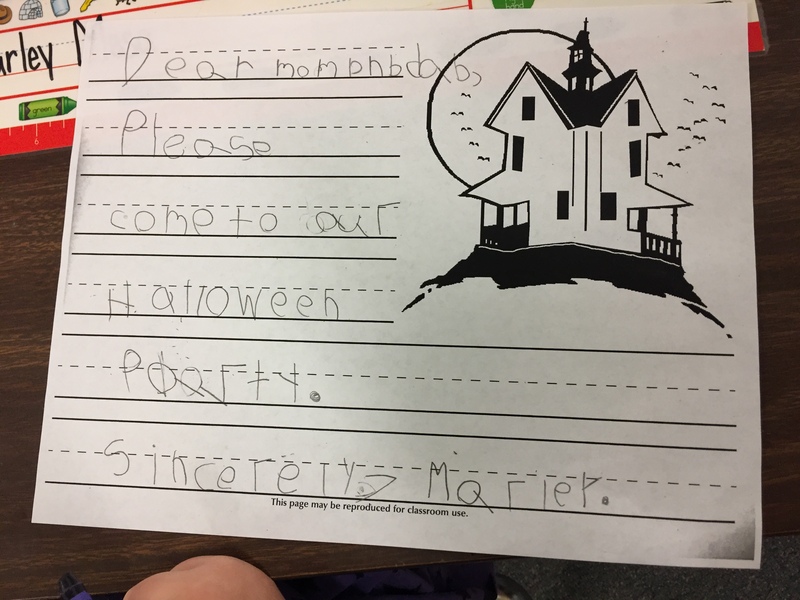 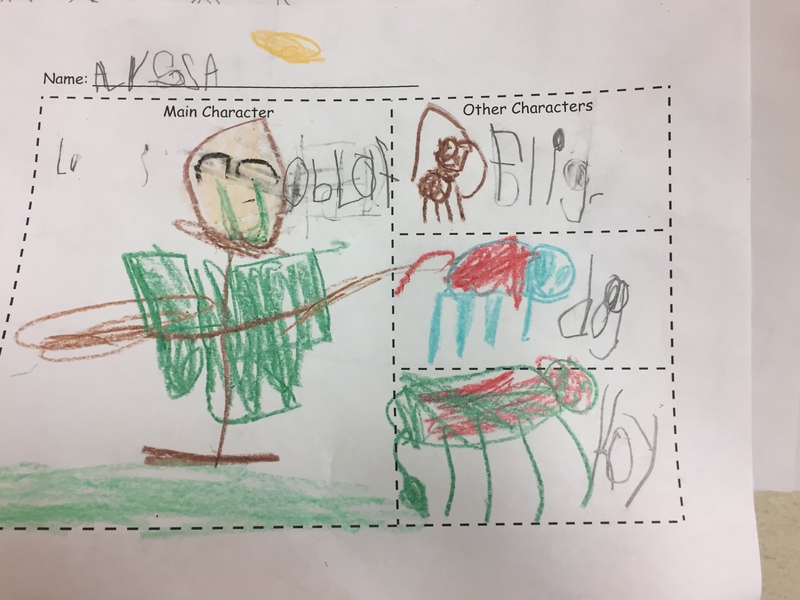 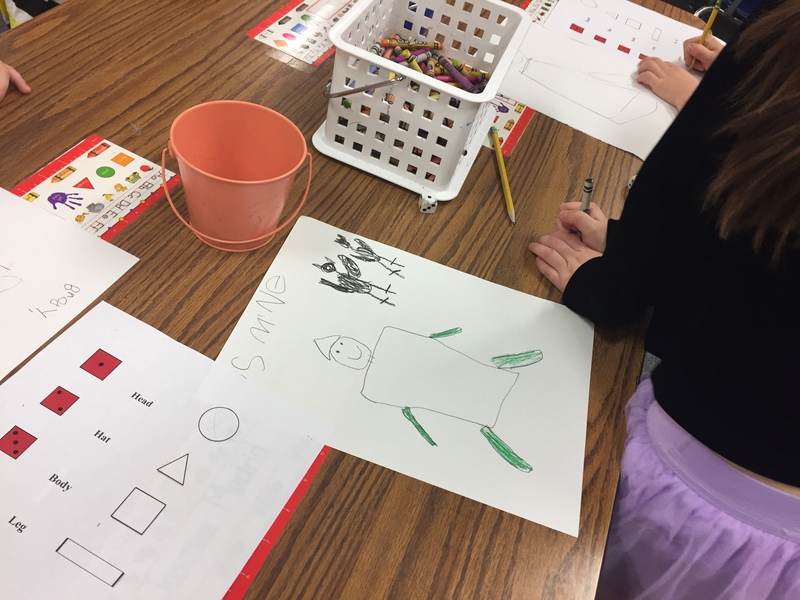 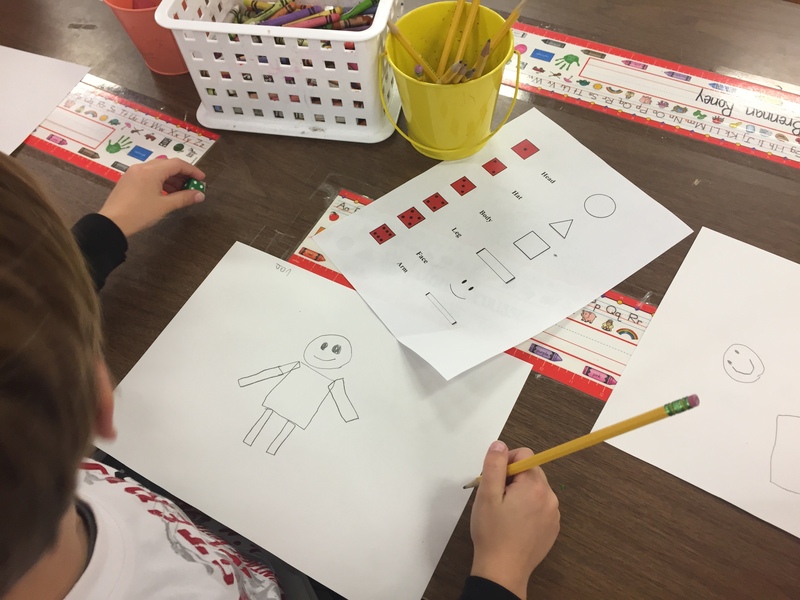 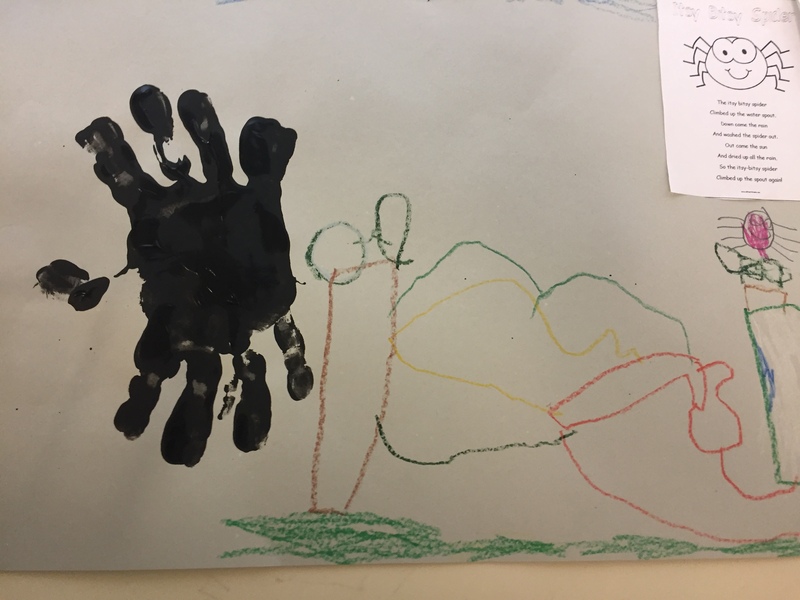 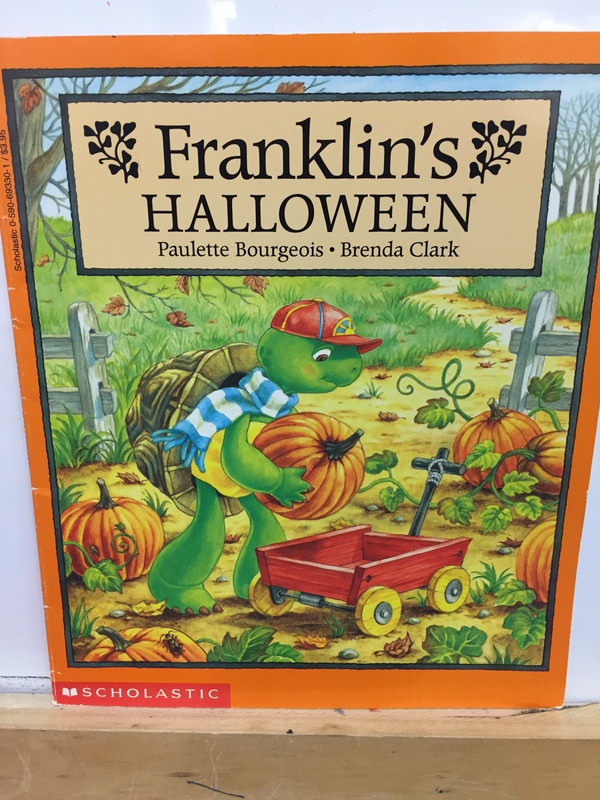 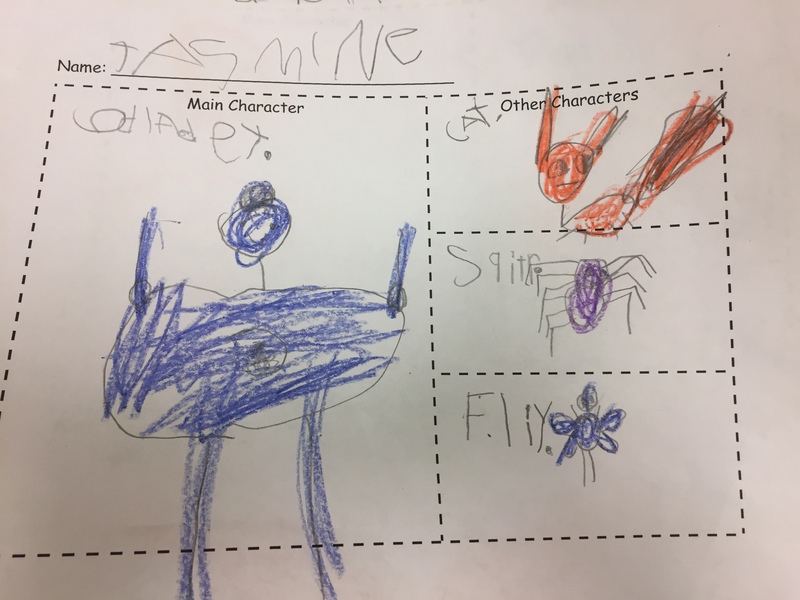 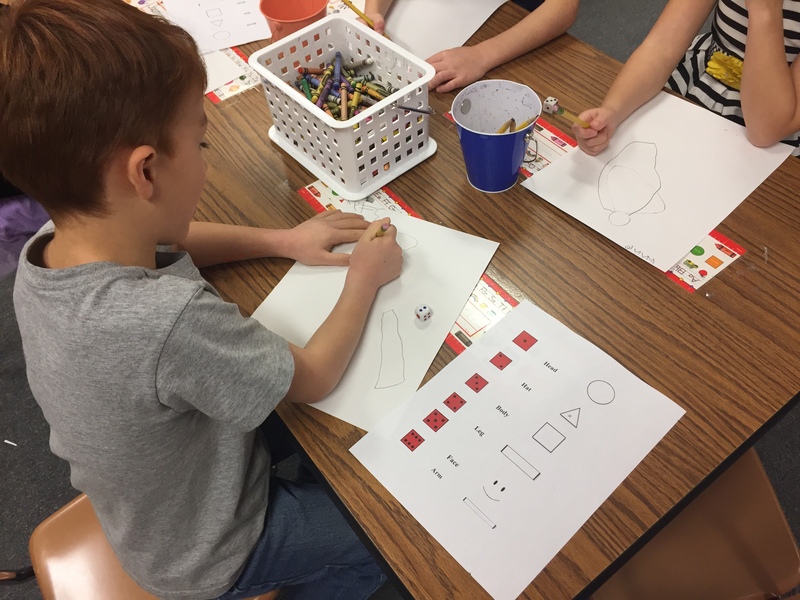 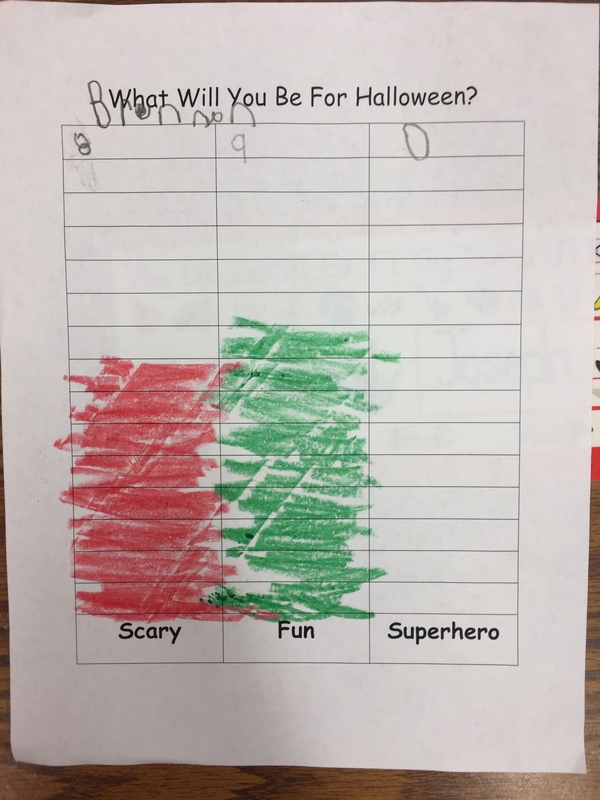 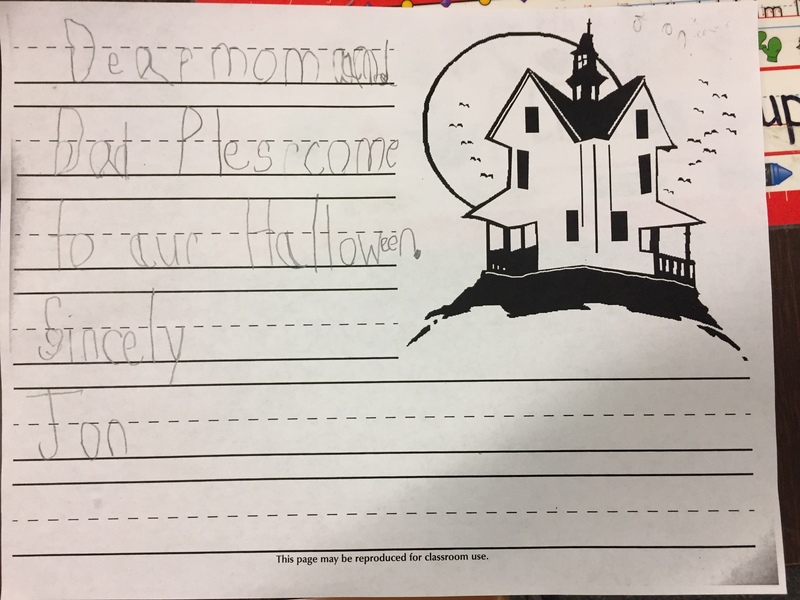 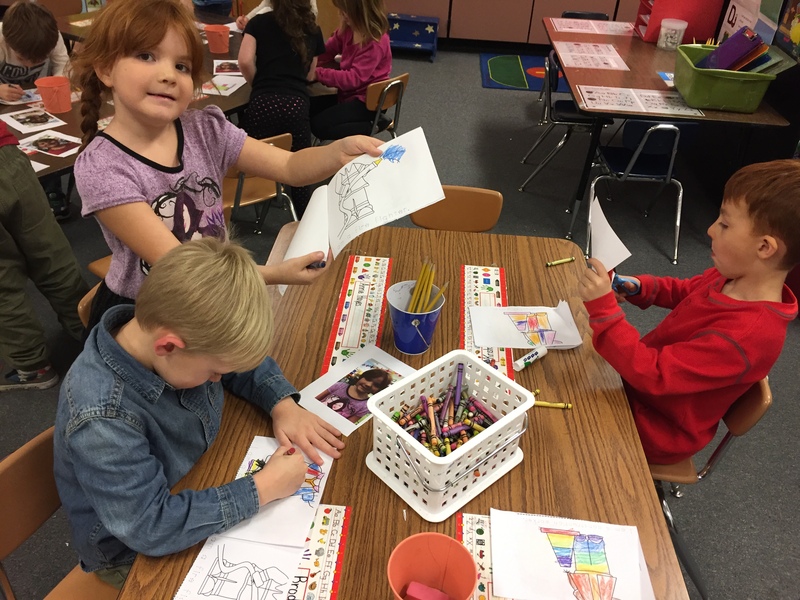 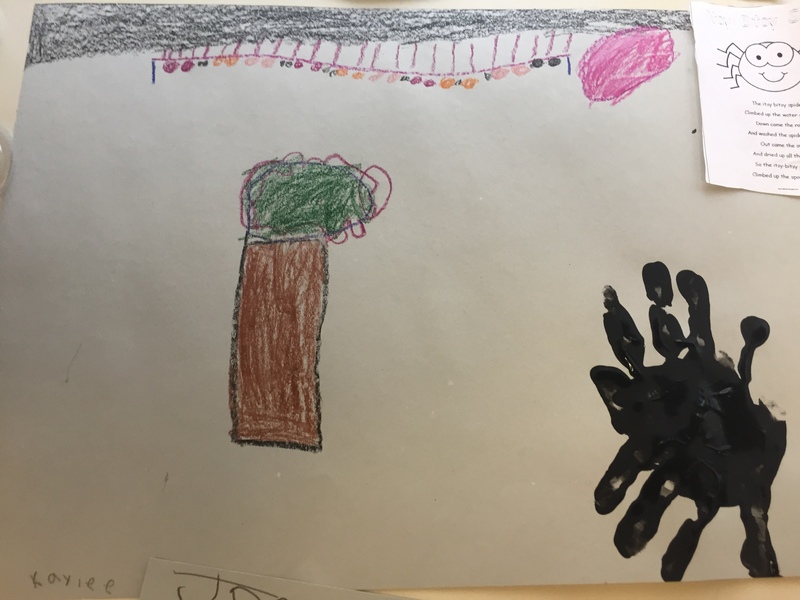 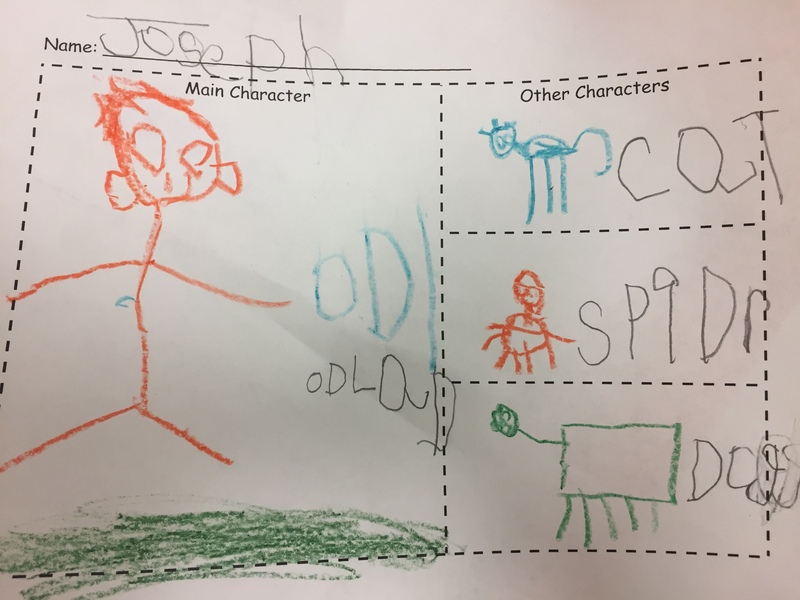 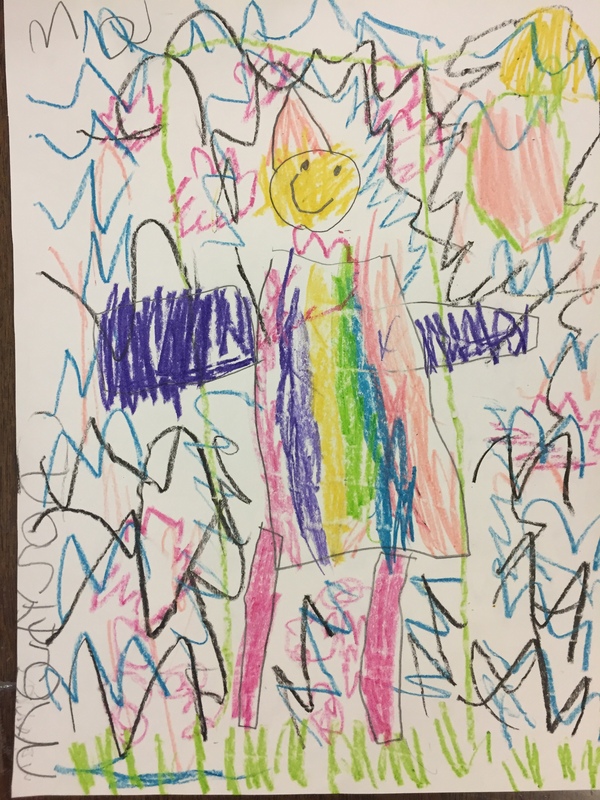 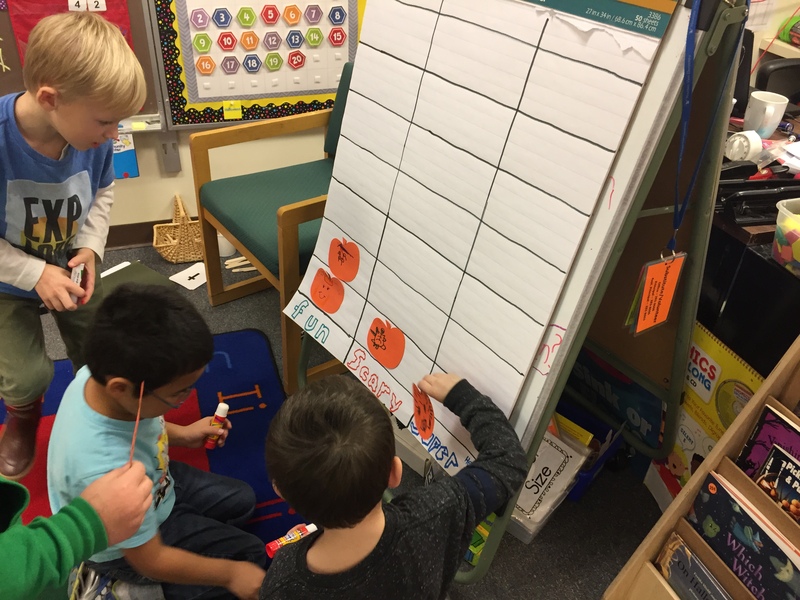 During math students did a roll and draw to draw a scarecrow like the scarecrow in the story and learned the shapes that they drew. 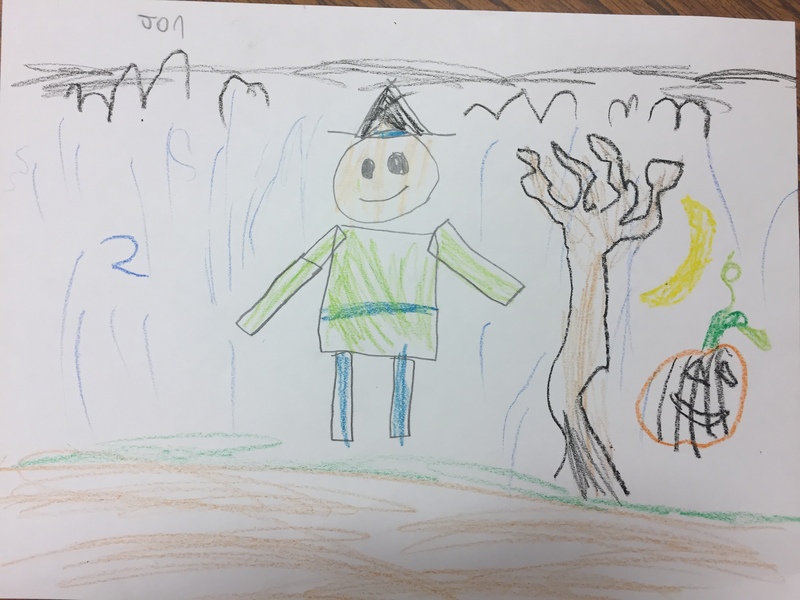 They added details to the picture after they drew the scarecrow. 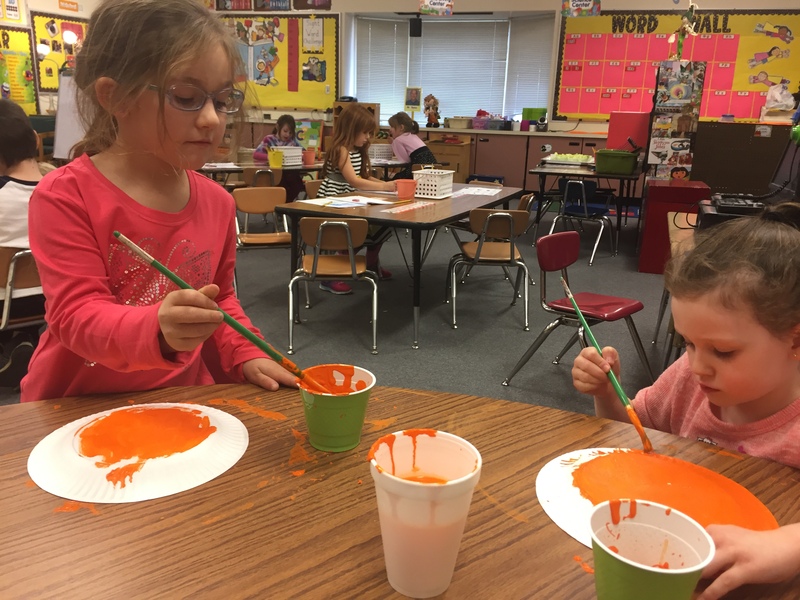 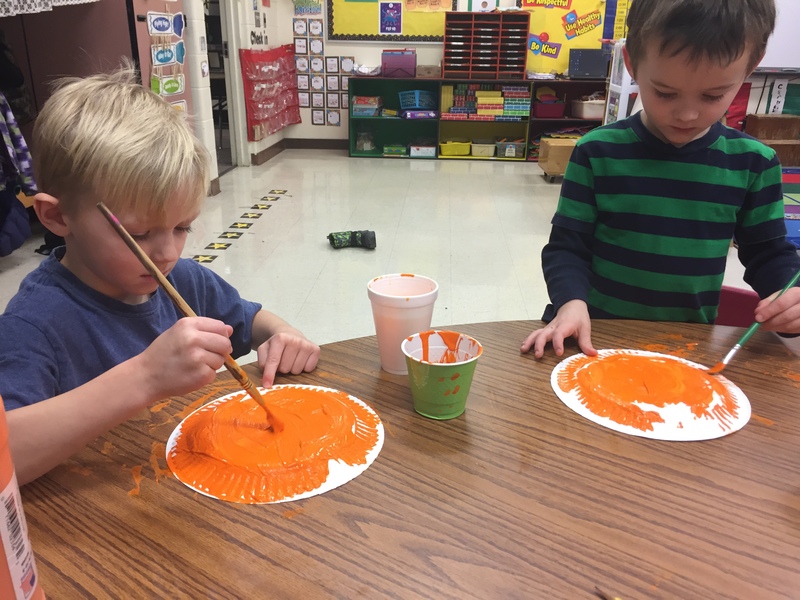 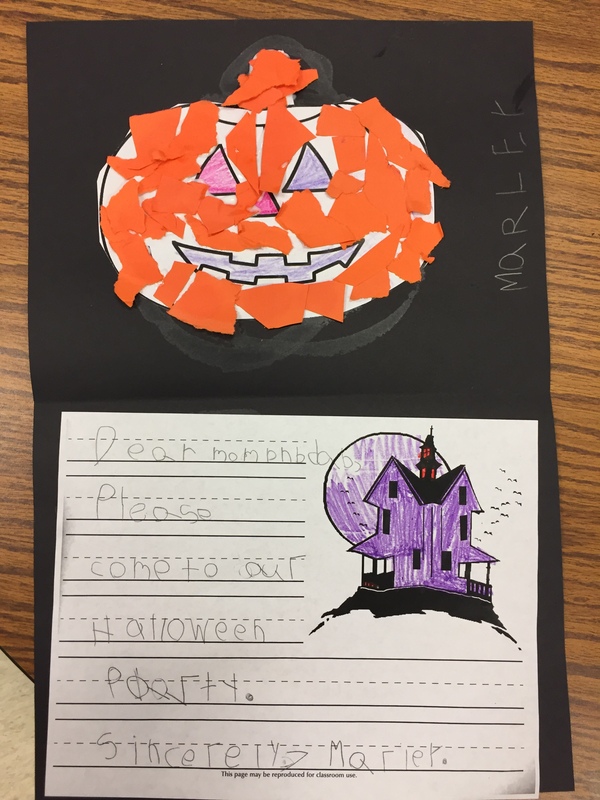 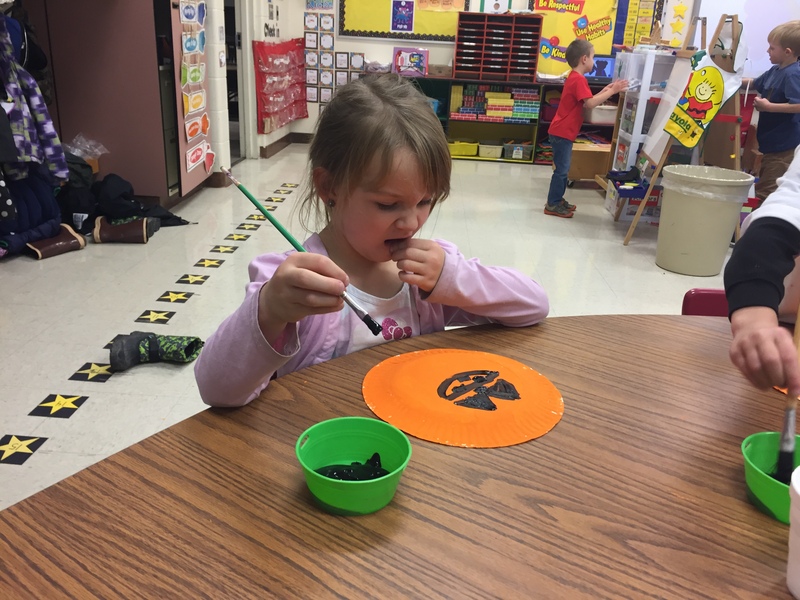 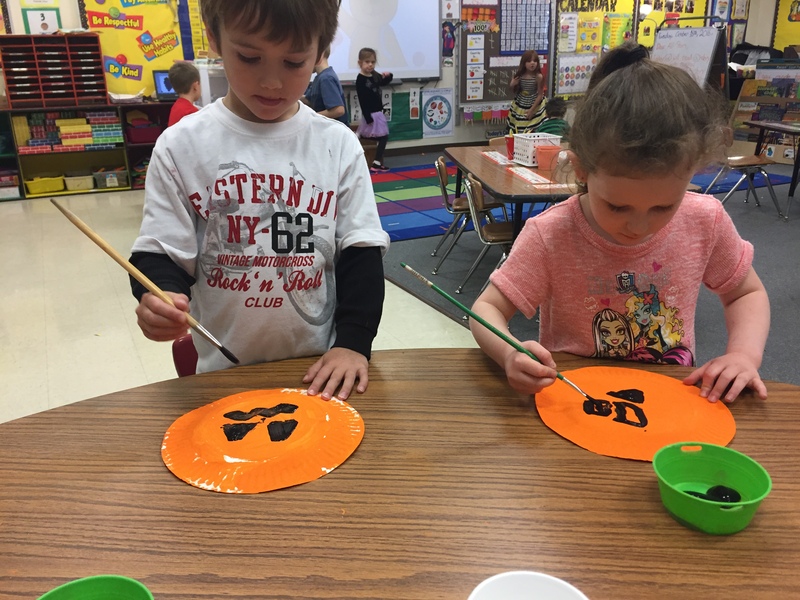 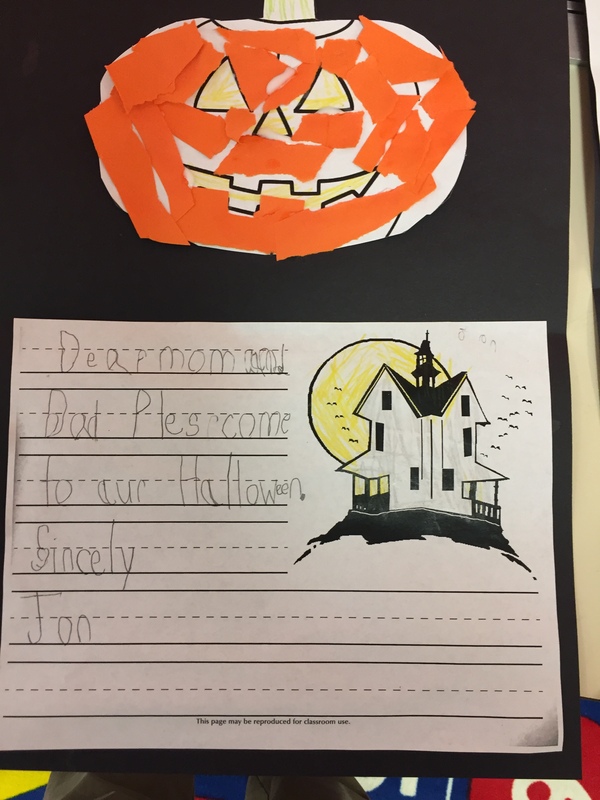 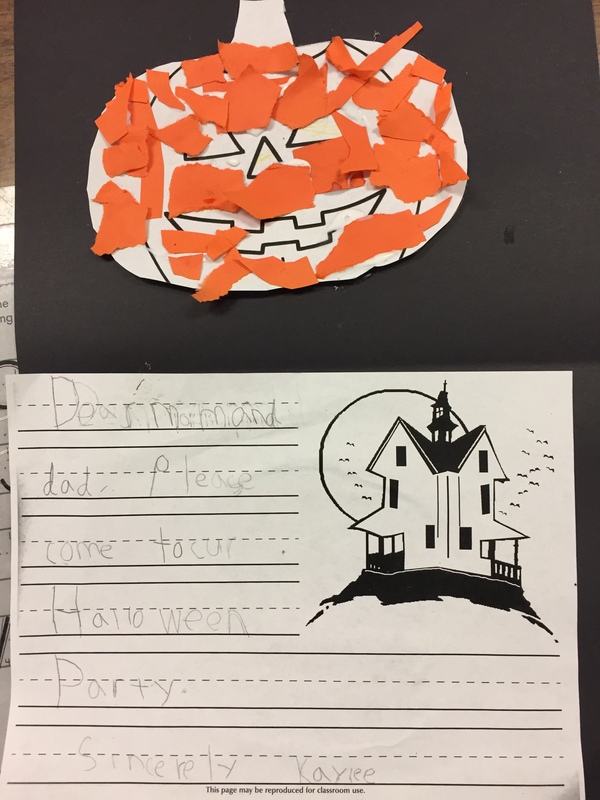 Students also made paper plate jack-o-lanterns like the scarecrow face during art time and part of free choice center time. 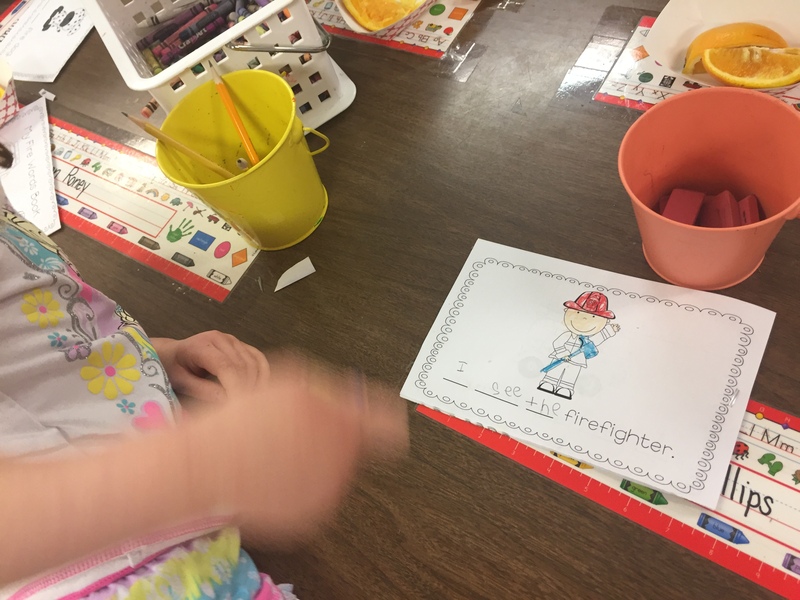 Last week we finished up our units on fire safety and community helpers. 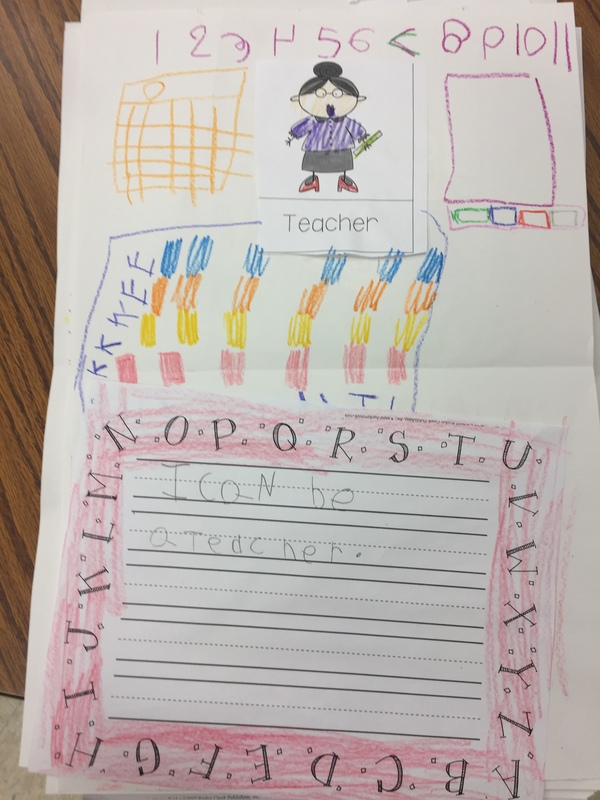 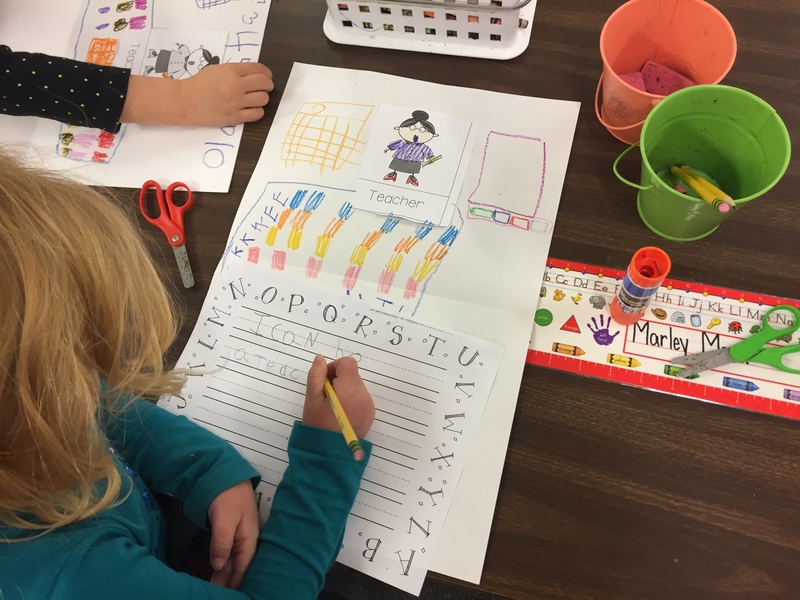 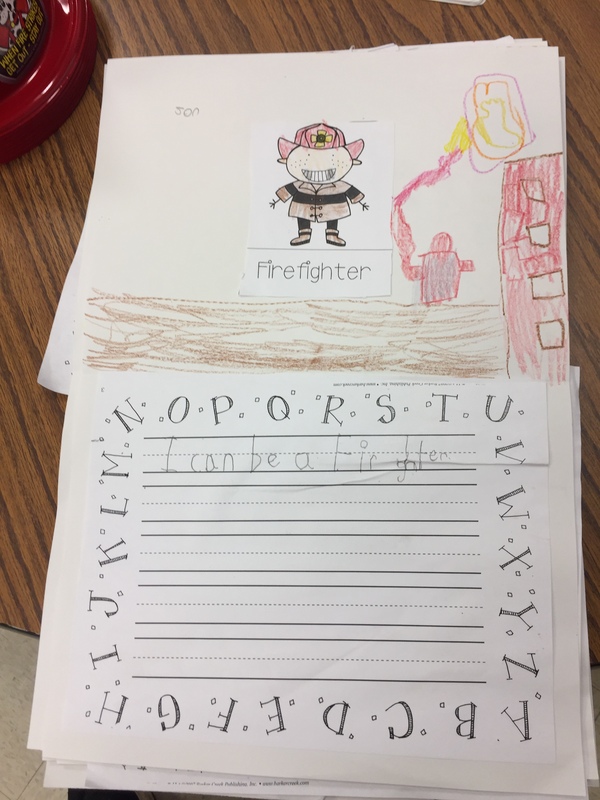 We made flip books to illustrate what kind of community helpers we can be and then we wrote what we want to be when we grow up. 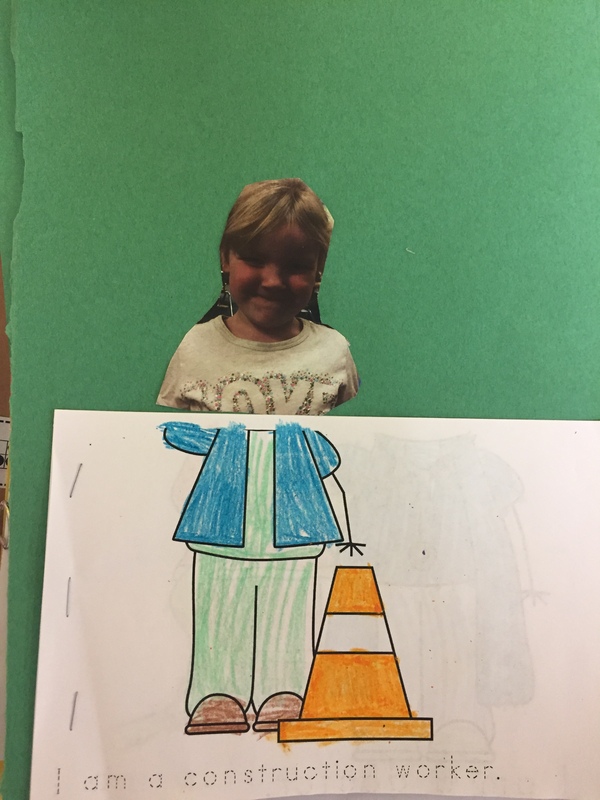 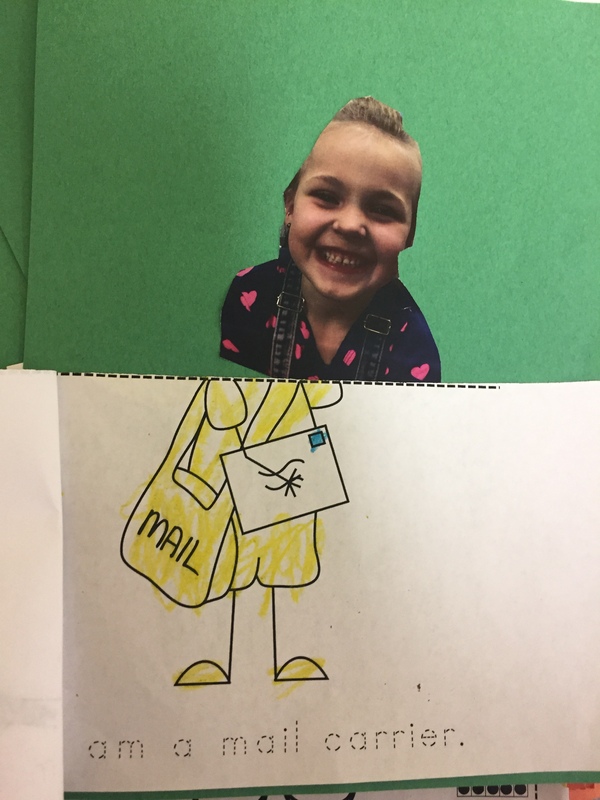 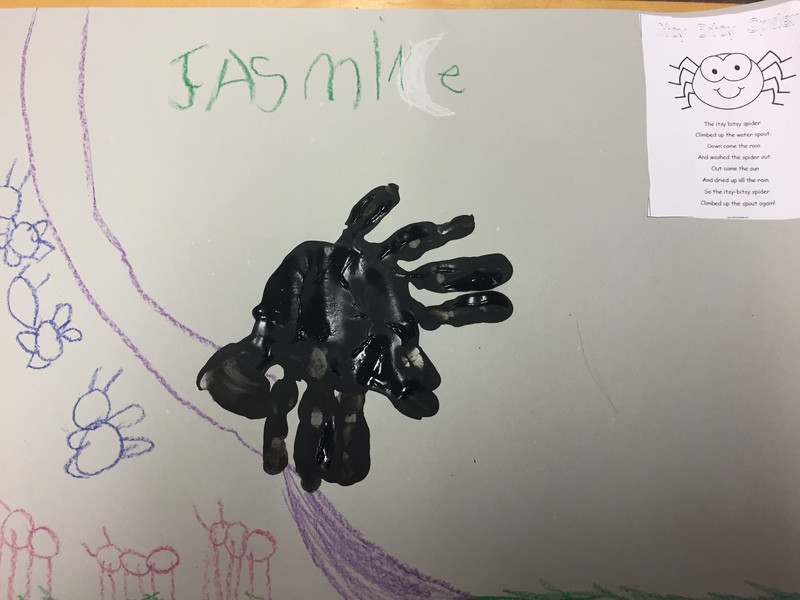 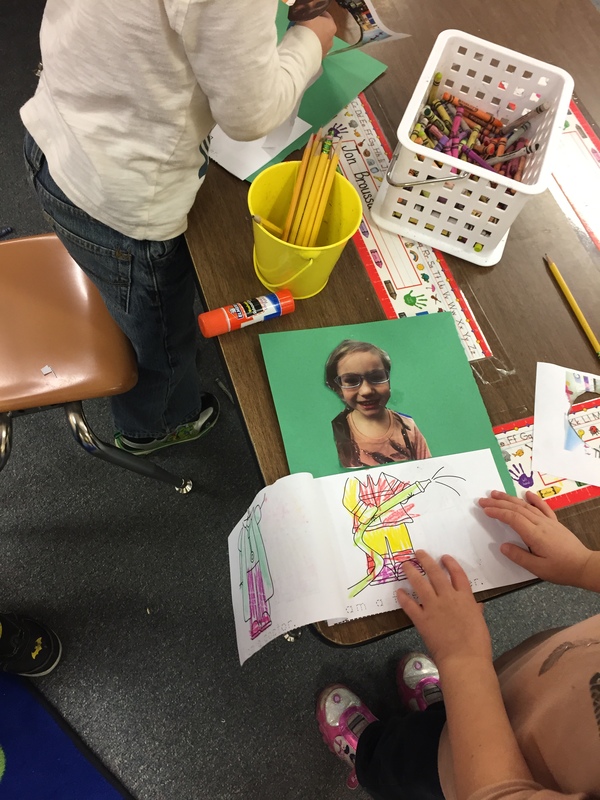 Students practiced adding details to their pictures by using community helpers cut out as a basis for our pictures. 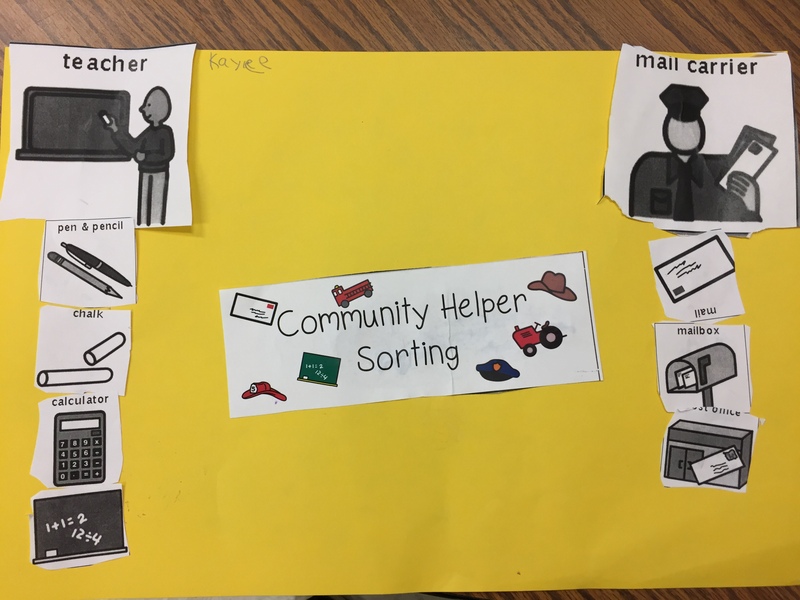 This week we’ve been talking about helpers in our community and the tools they use to do their job. 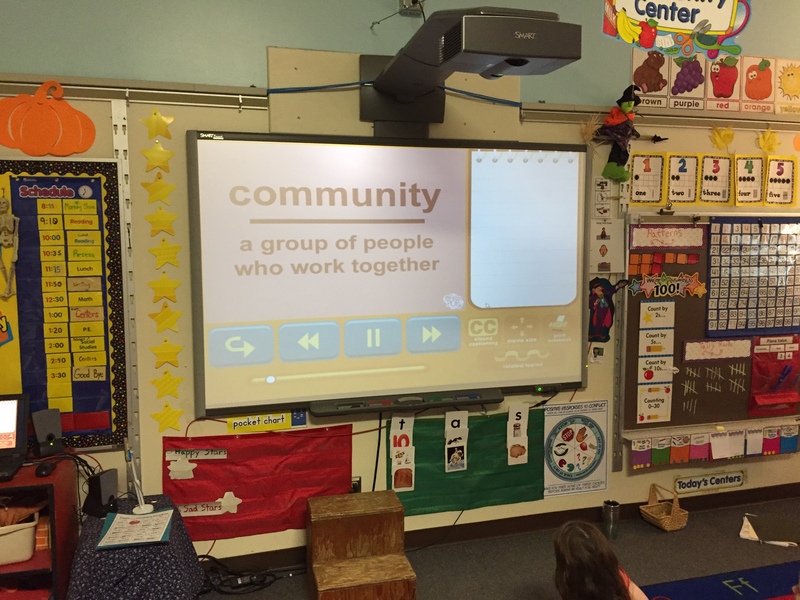 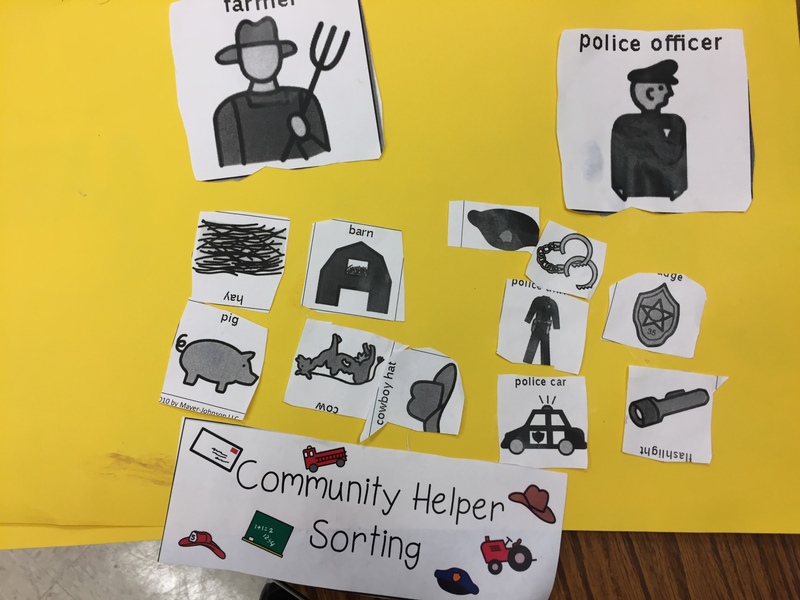 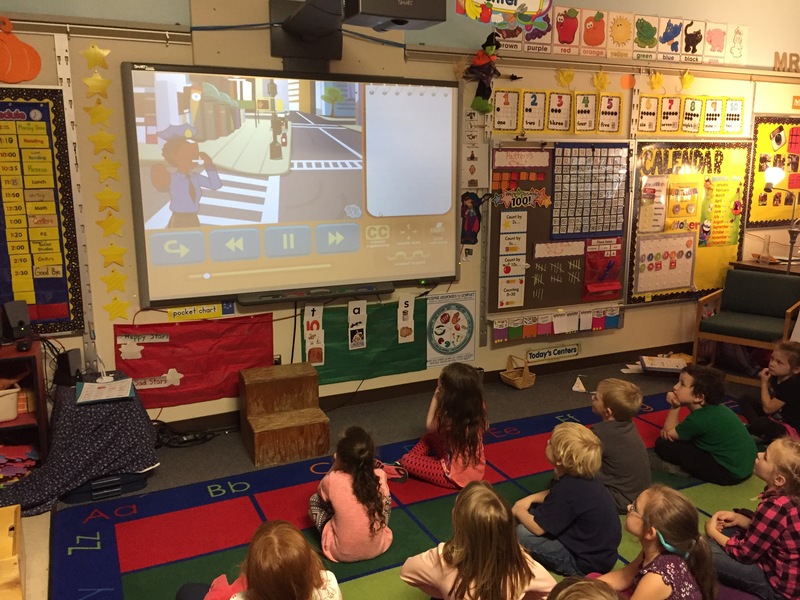 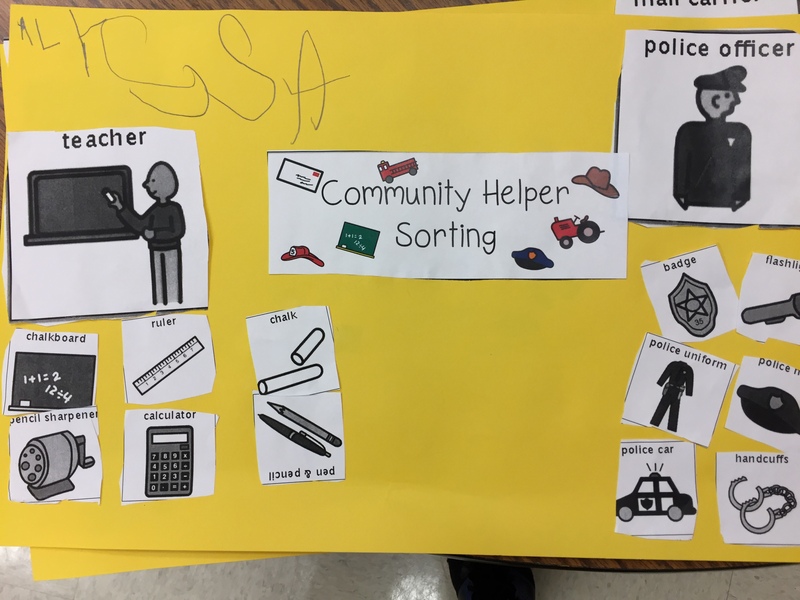 We watched the Community Helpers video on Brain Pop Jr. Then we picked different community helpers and sorted their tools. 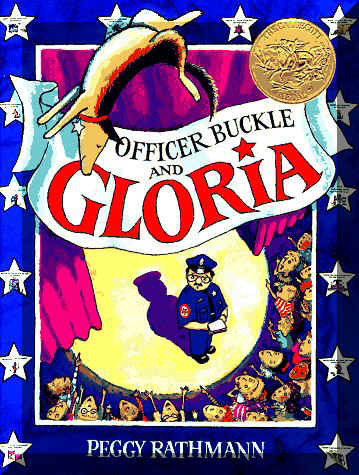 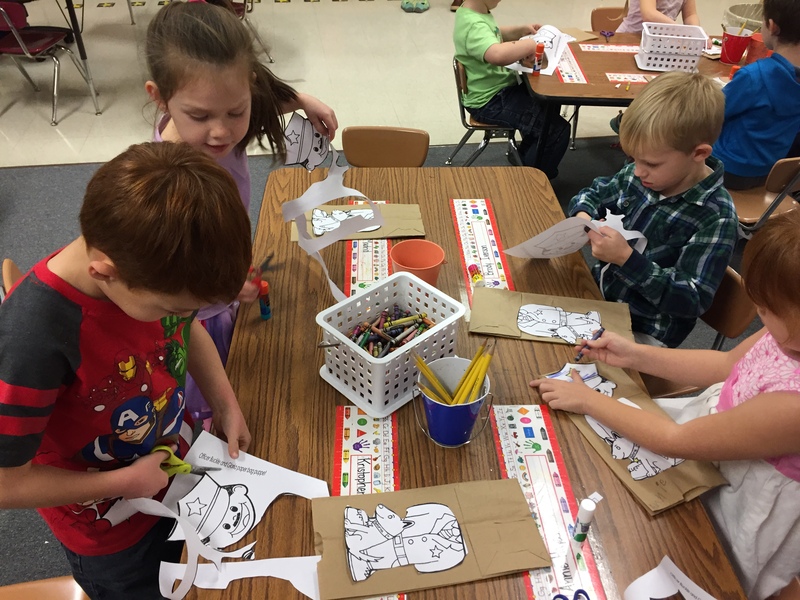 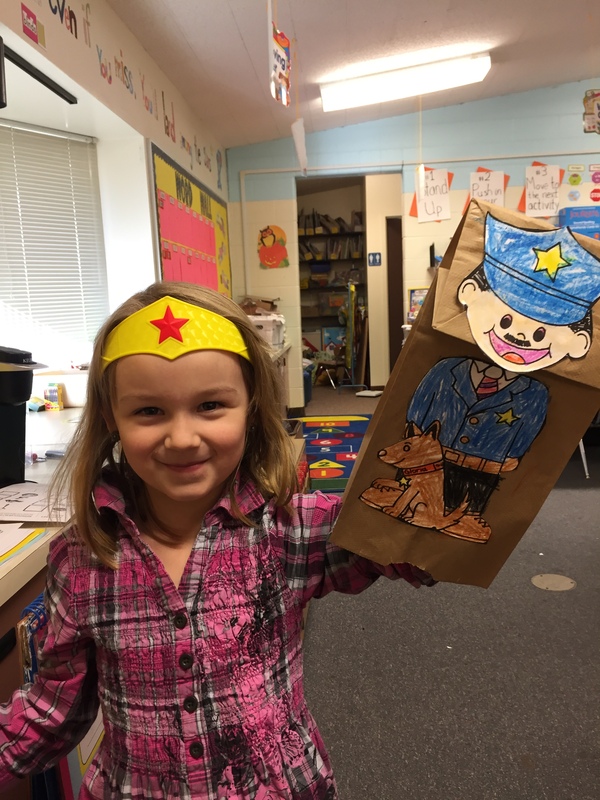 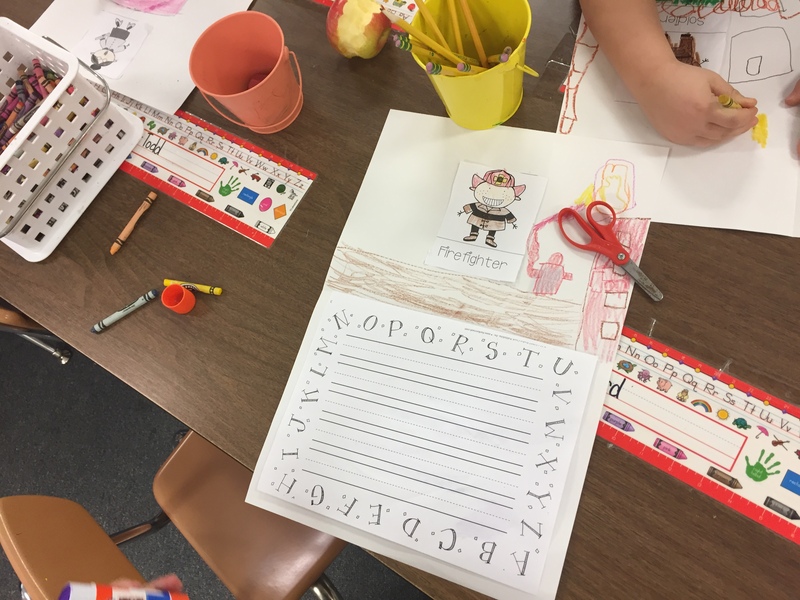 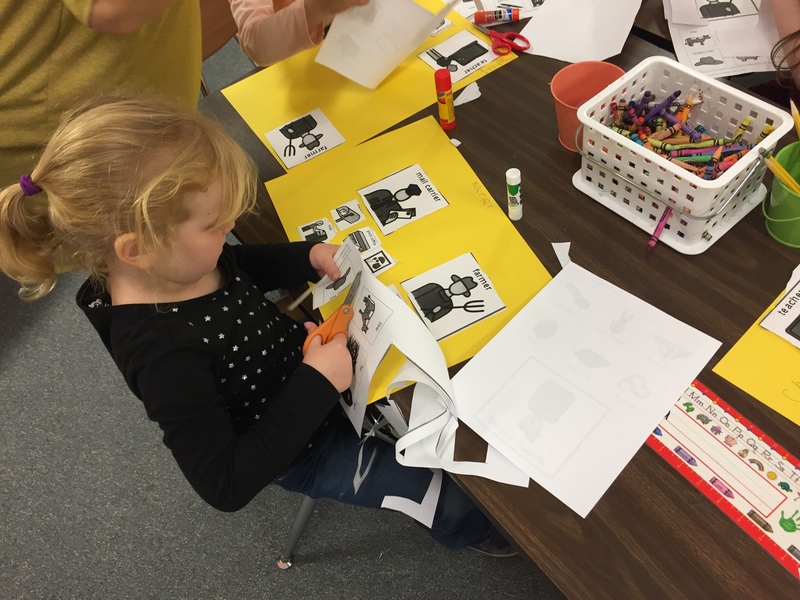 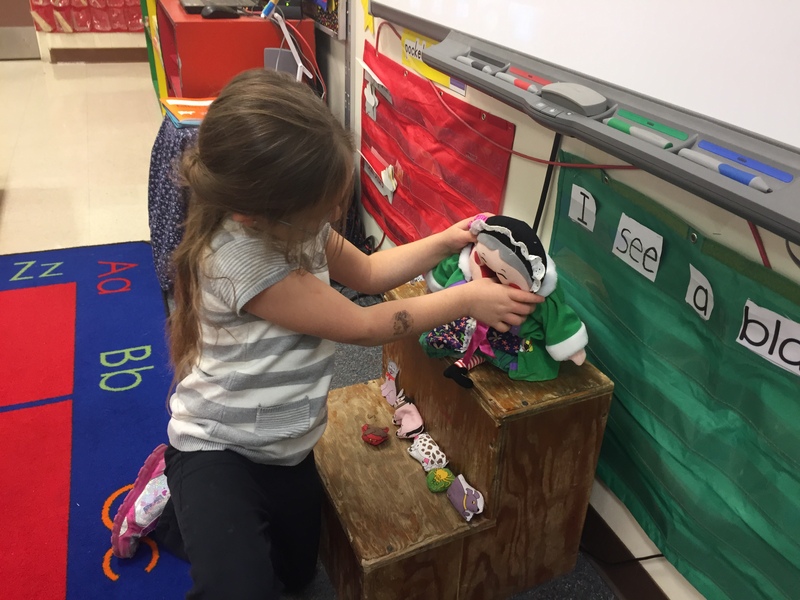 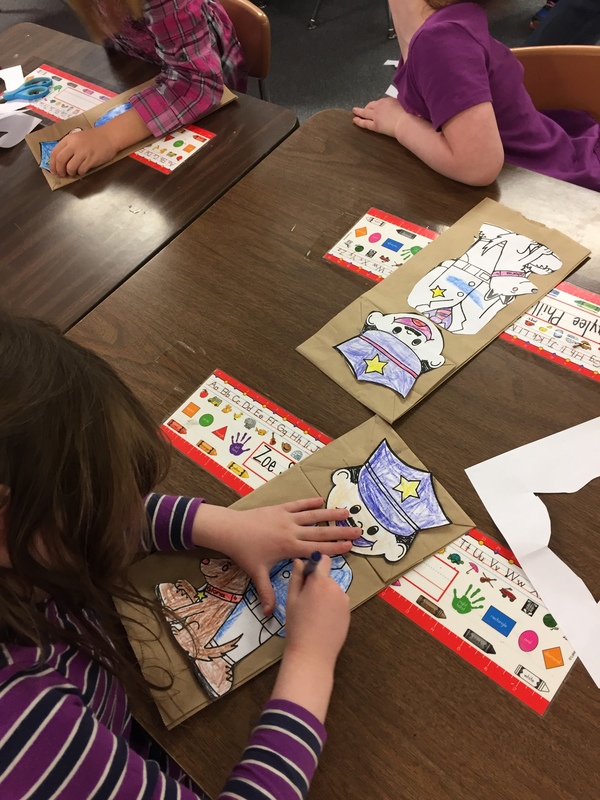 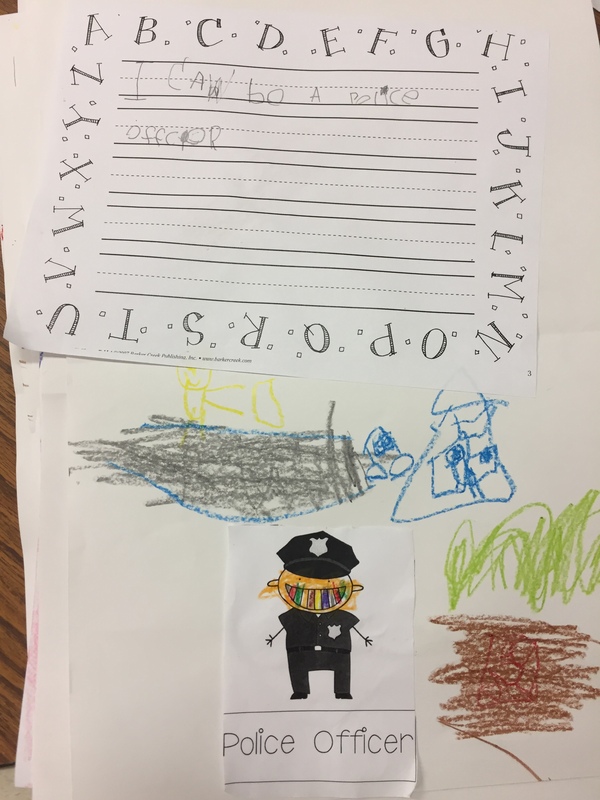 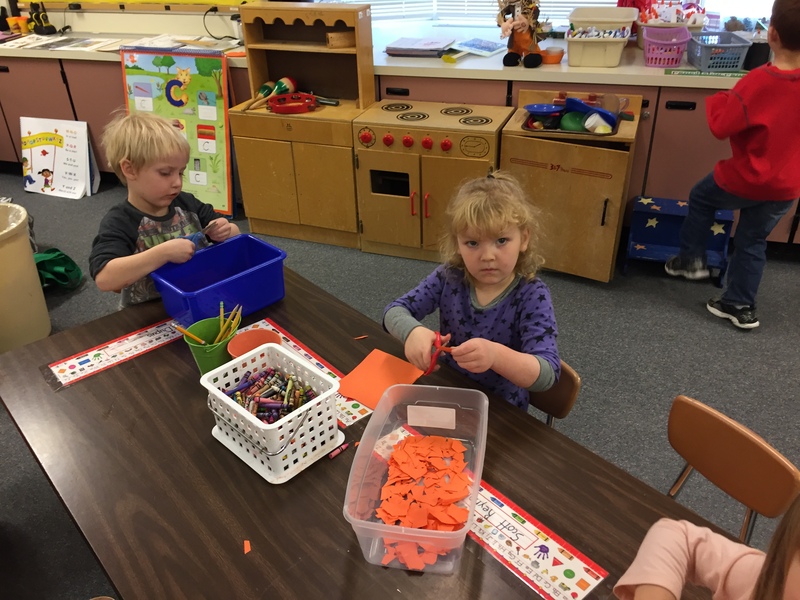 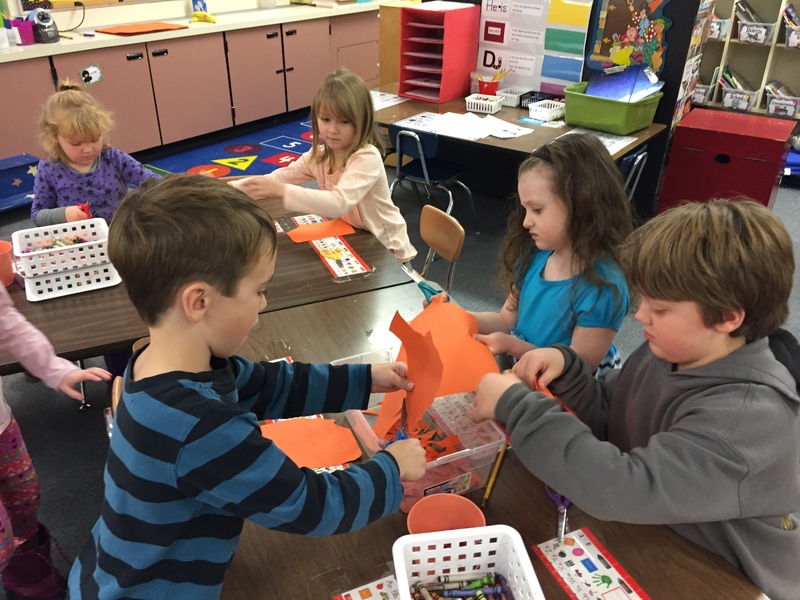 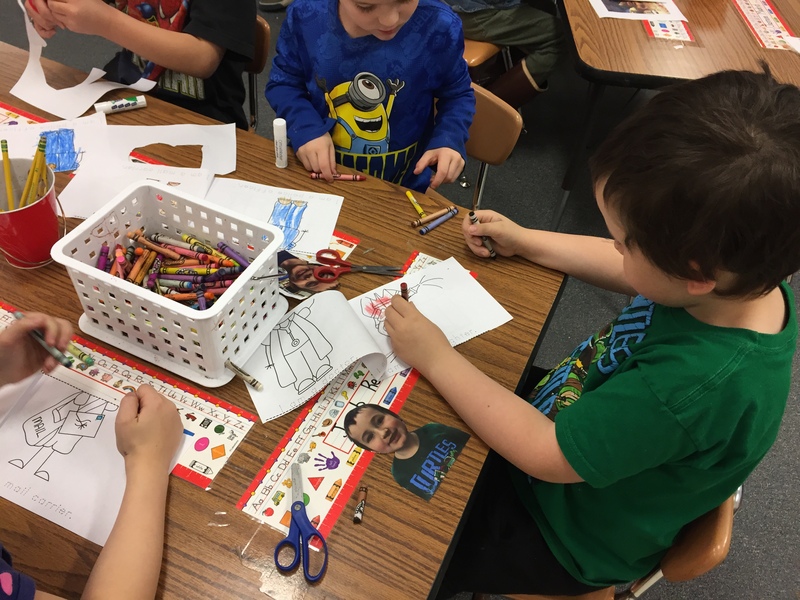 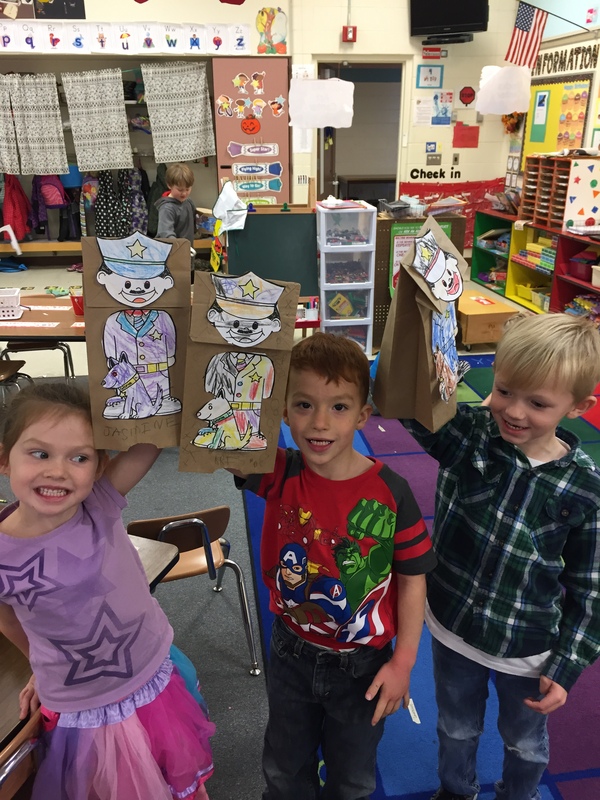 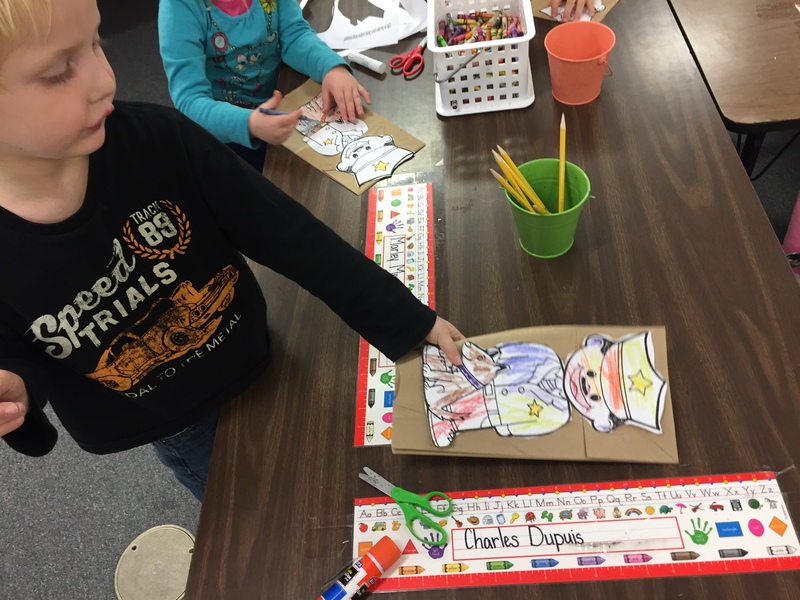 We also read the story Officer Buckle and Gloria by Peggy Rathmann and students retold the story during free choice centers with paper bag puppets that we made. 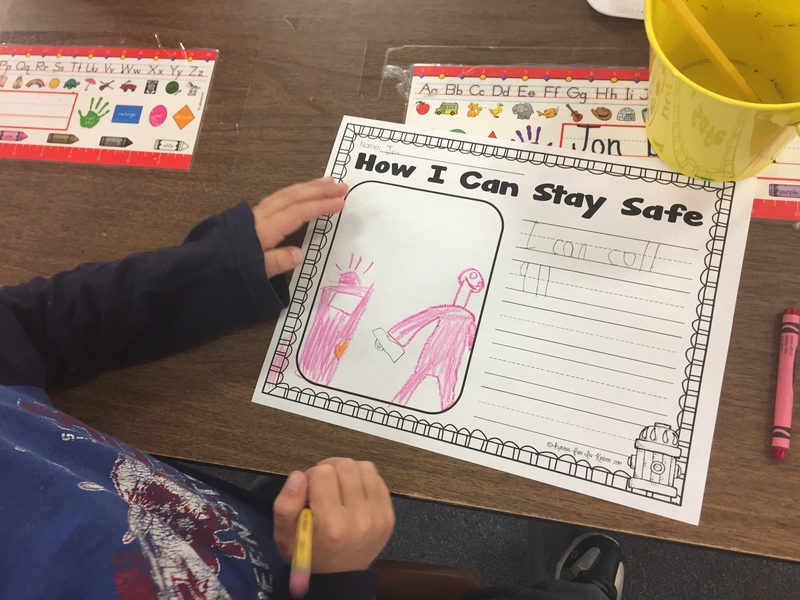 We finished up with fire safety week with a variety of different activities. 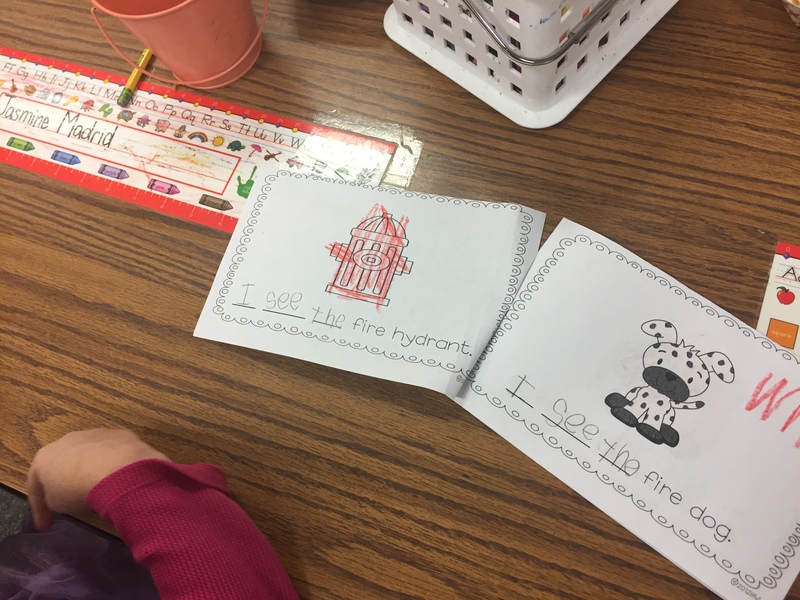 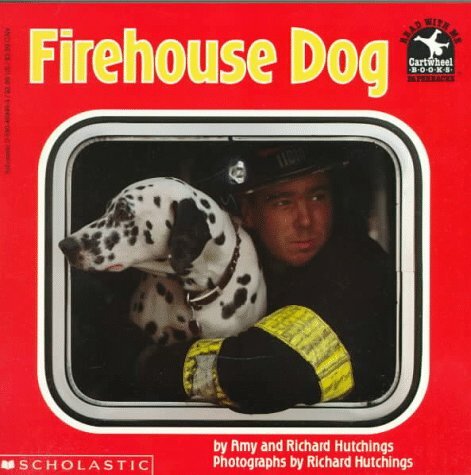 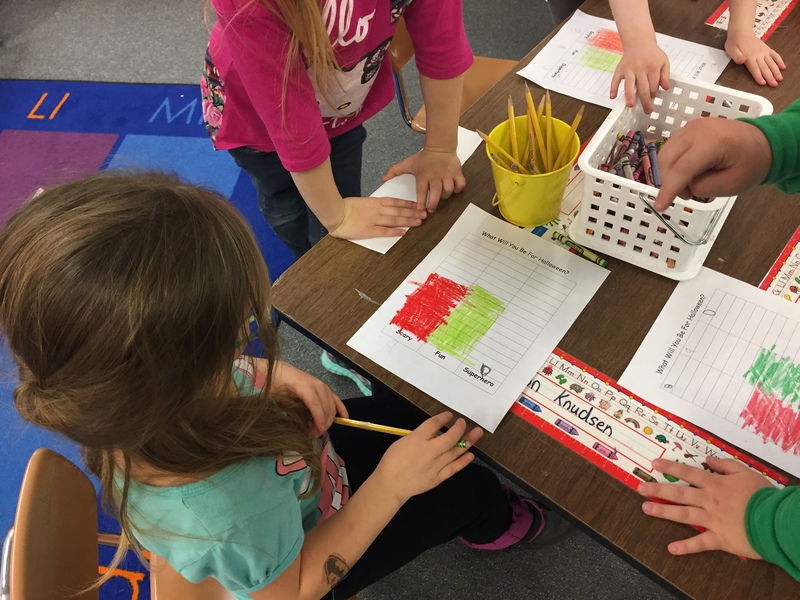 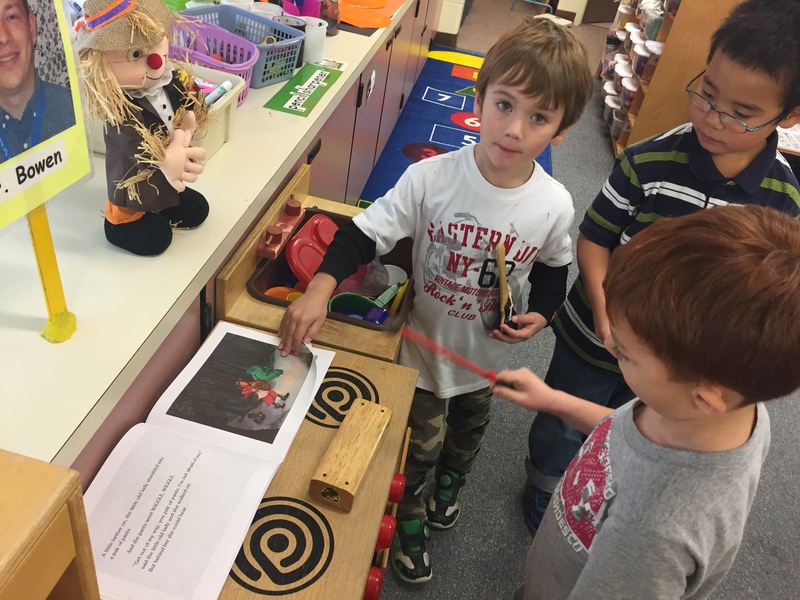 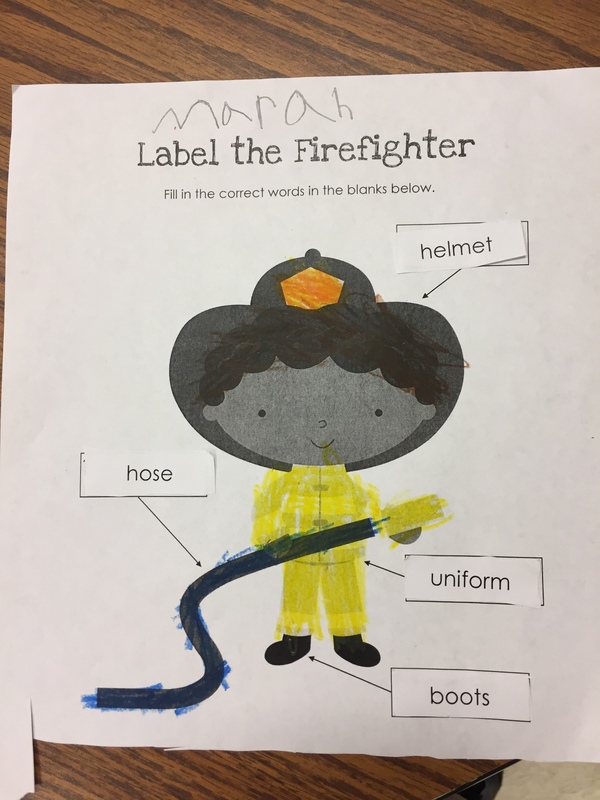 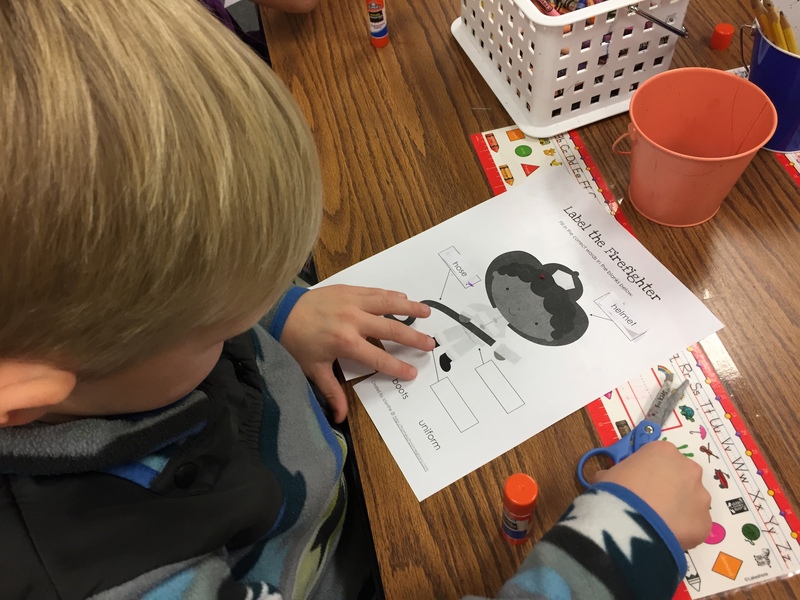 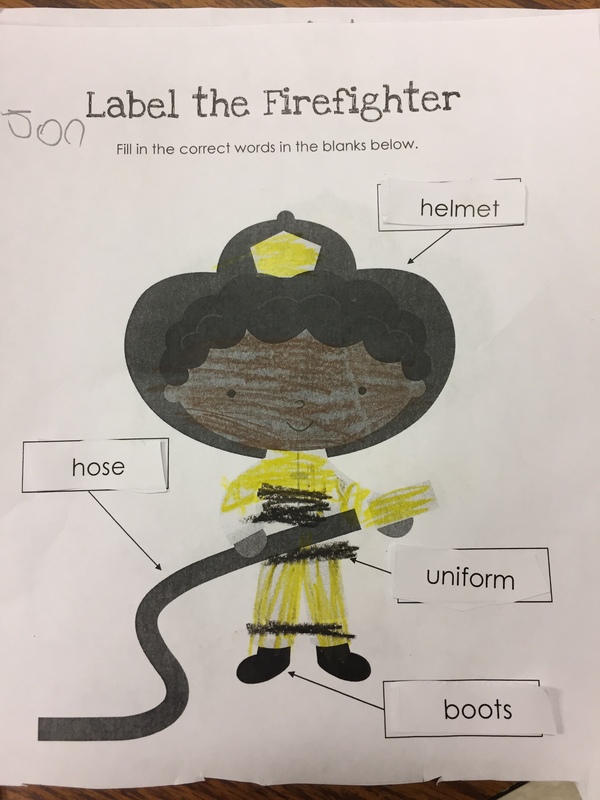 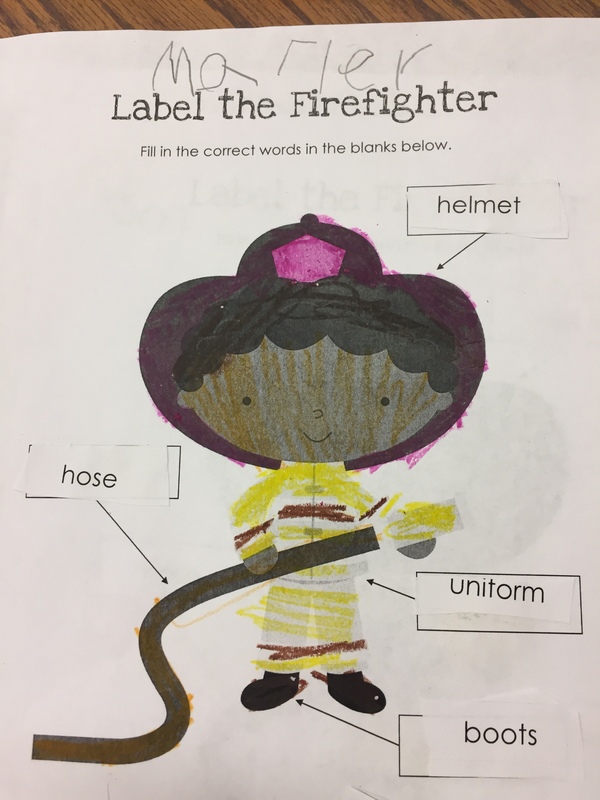 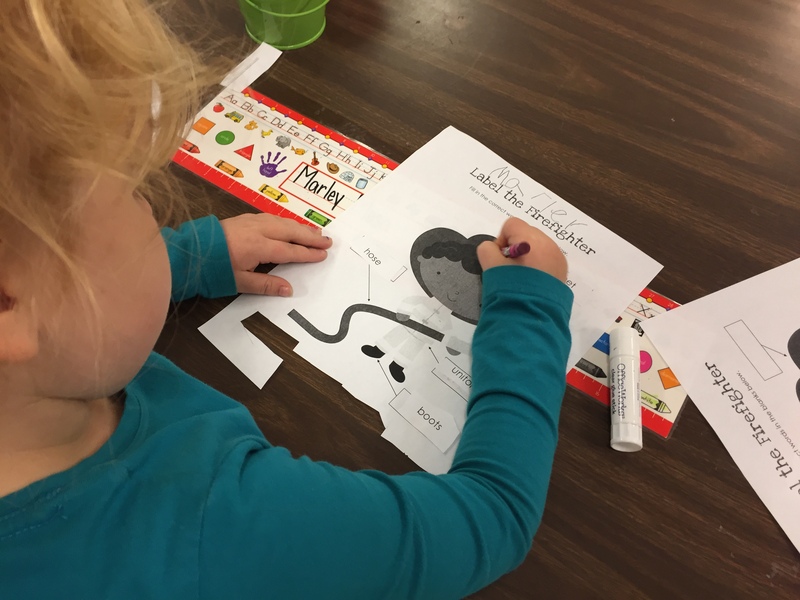 We learned about the different tools and items that fire fighters use by reading the book Firehouse Dog and then they learned about how to use labels by labeling different fire fighter items. 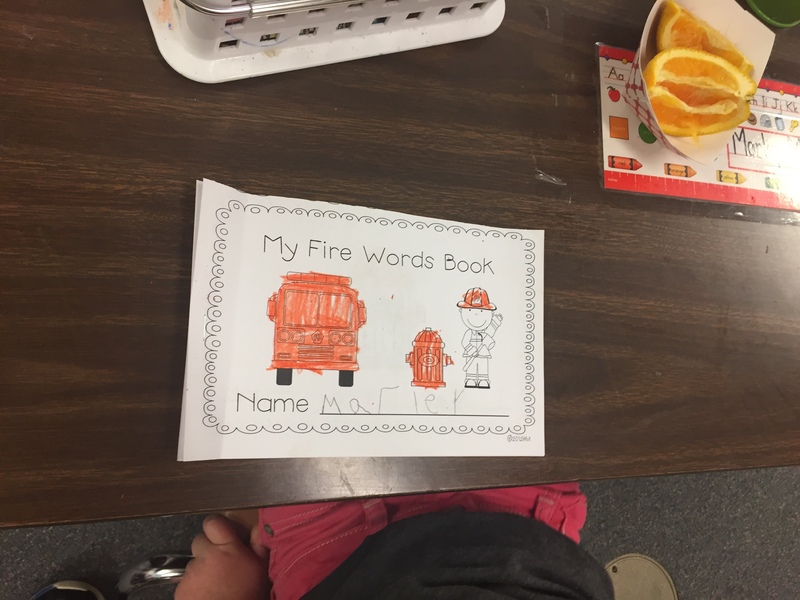 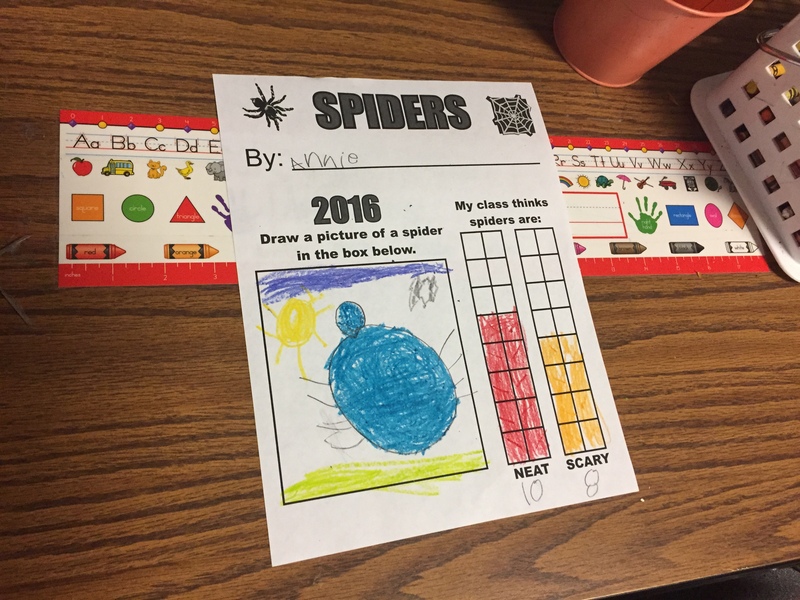 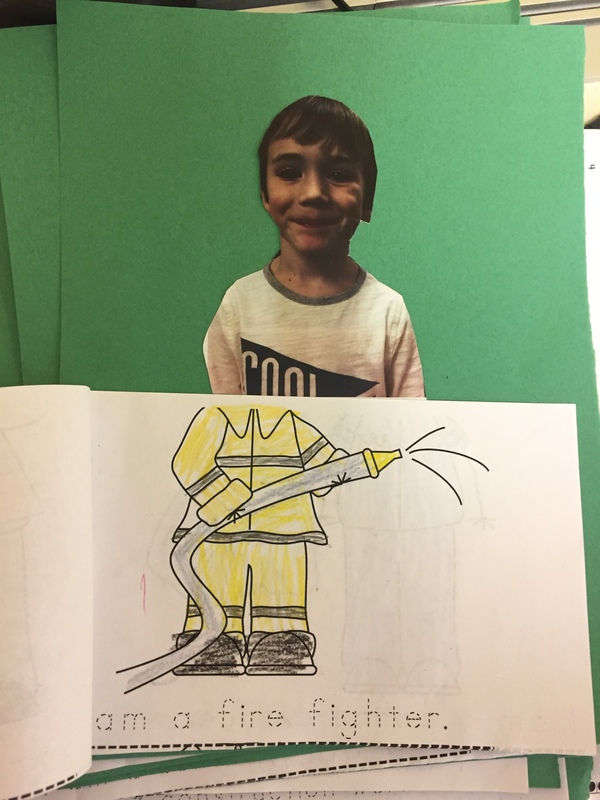 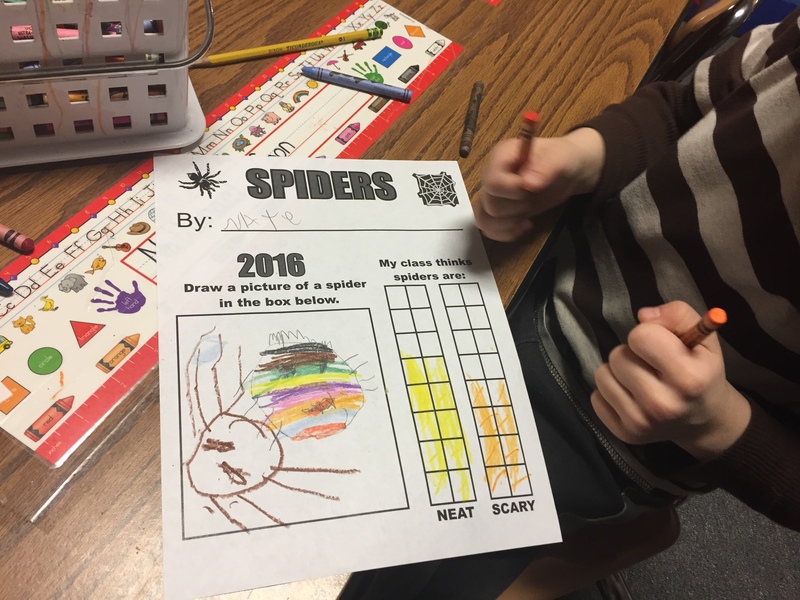 We also made and read fire a safety words book. 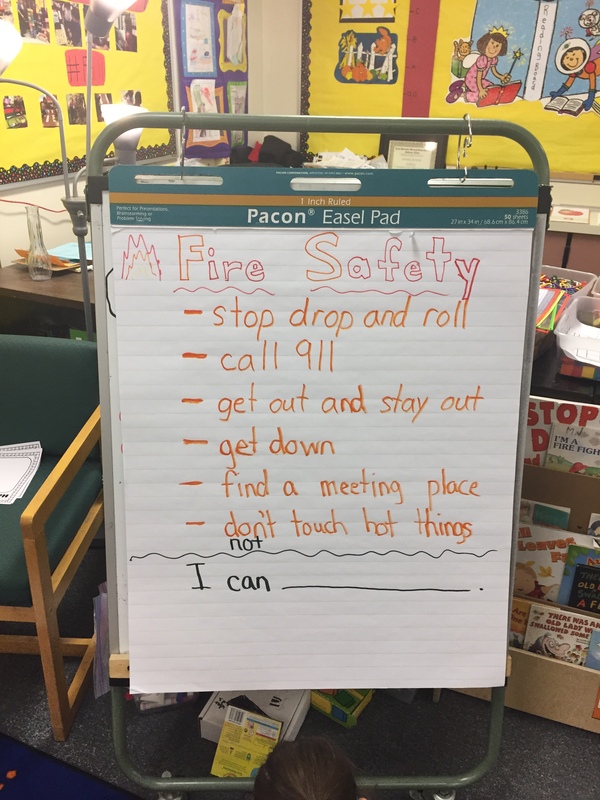 For writing we discussed the things we’ve learned about fire safety and made a list. 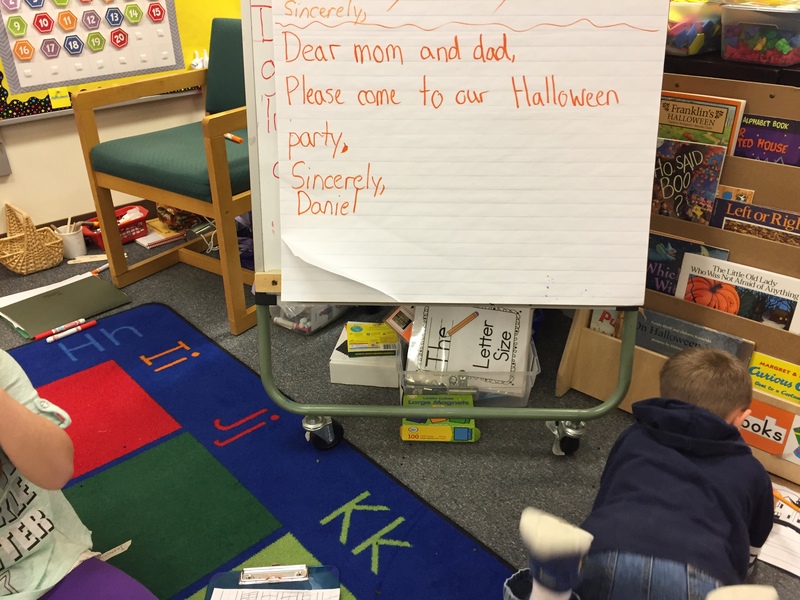 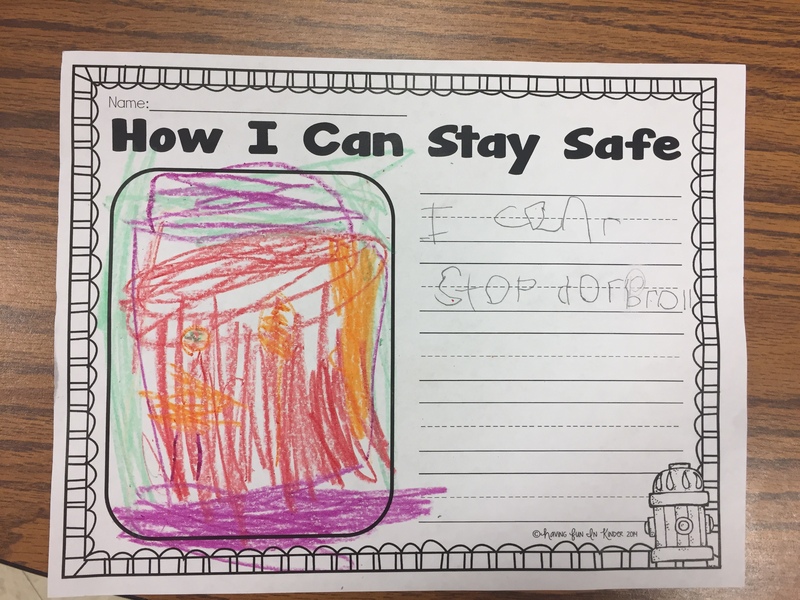 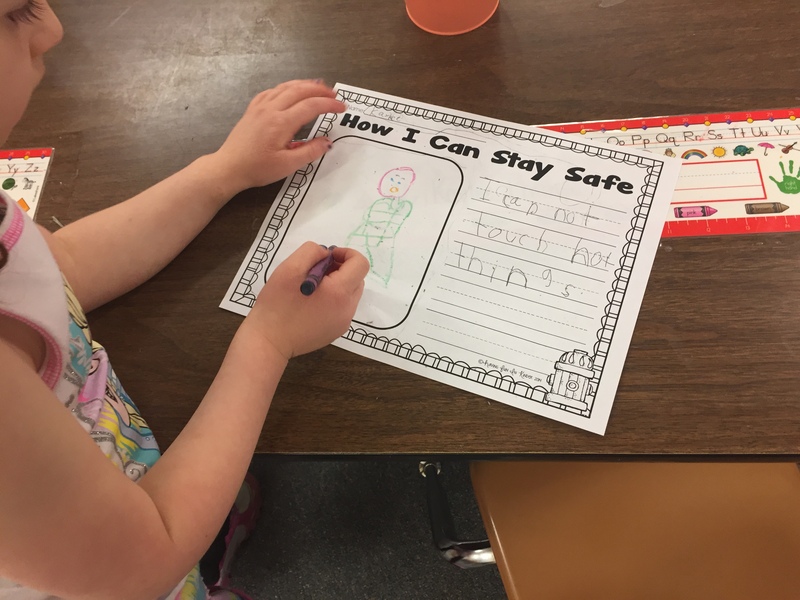 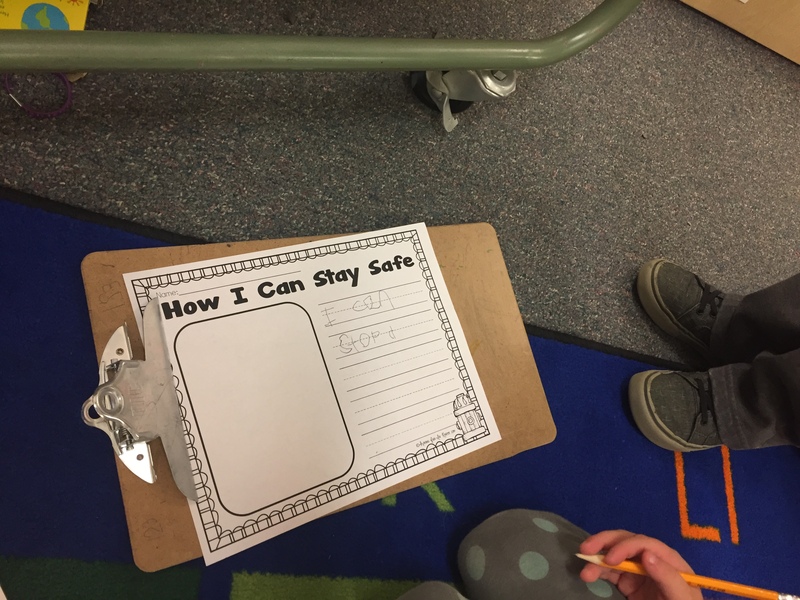 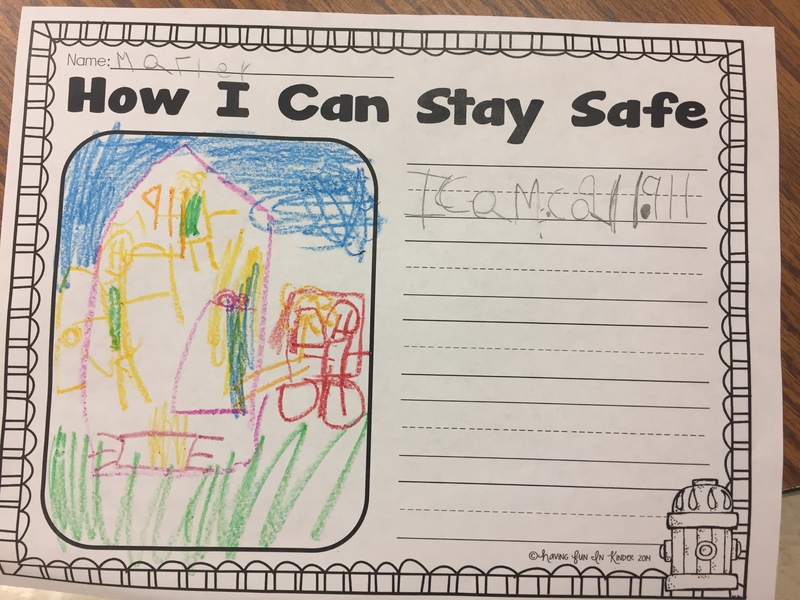 With the list we then wrote about about one thing we could do to stay safe in case of a fire.